JNP brides! Today’s blog post is all for you. Your wedding day is coming up fast and things are starting to get a little crazy. With an endless list of to-dos, we thought we would take on some of the work by compiling a list for your to refer back to when building your wedding photography box. Your wedding photography box contains the fine details that you want us to photograph on your wedding day. 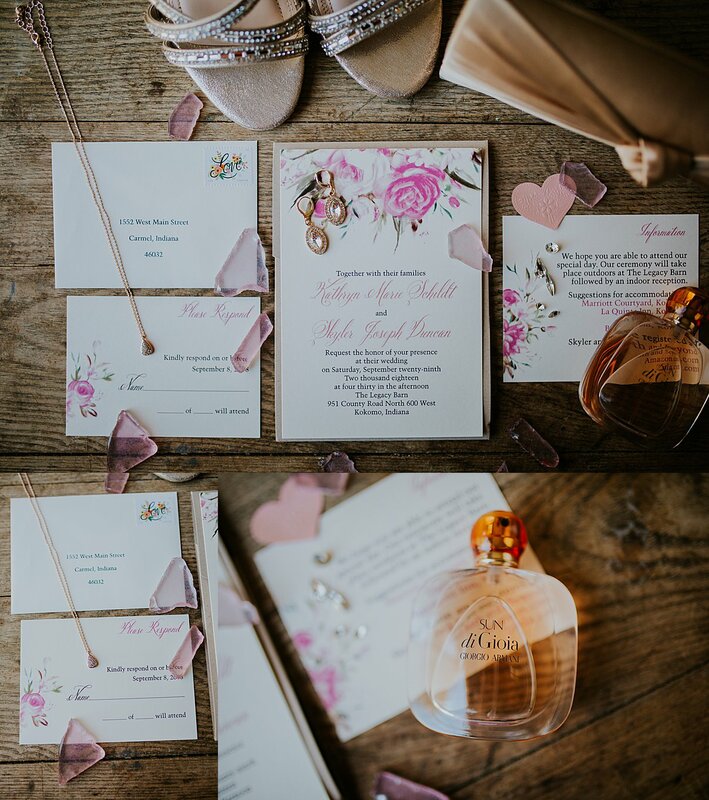 We loooooove details here at JNP and one of our favorite things is to make gorgeous flatlays from your wedding invitations and to arrange various items and mementos of significance. We photograph these items as soon as we arrive on the scene. Having your wedding box completed by the morning of your wedding will give us easy access to the variety of items we need to photograph. And as soon as we are done, we will have them returned to you before you start getting ready. 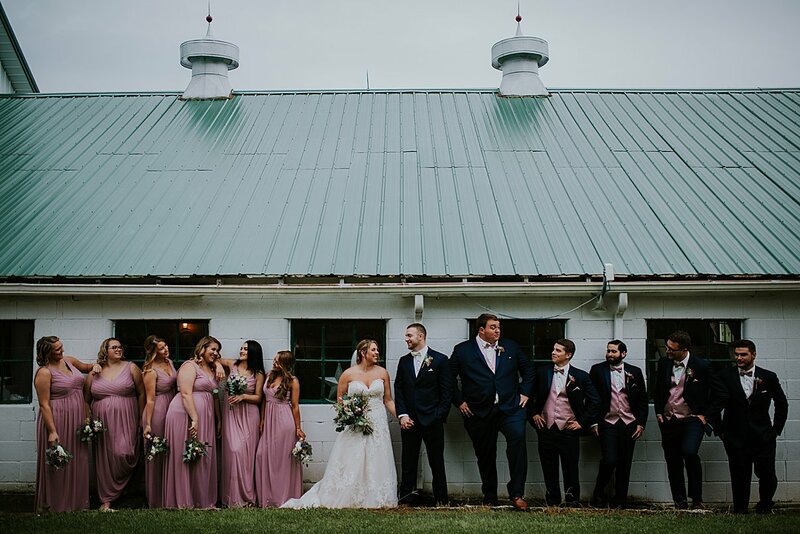 The photos today are featuring some wedding photography details we put together from Skyler and Katie’s wedding at the Kokomo Indiana Legacy Barn. Follow these steps to build your box. You can add items as you go and as things come in the mail. Or you can add things the night before, once you’ve looked everything over to know it’s good to go. Step 1. Find a box. Any box will do! A lot of our brides like using their wedding shoe box, though you may need something a tad bigger if you have a lot of items to add. Step 2. Add your stationary. 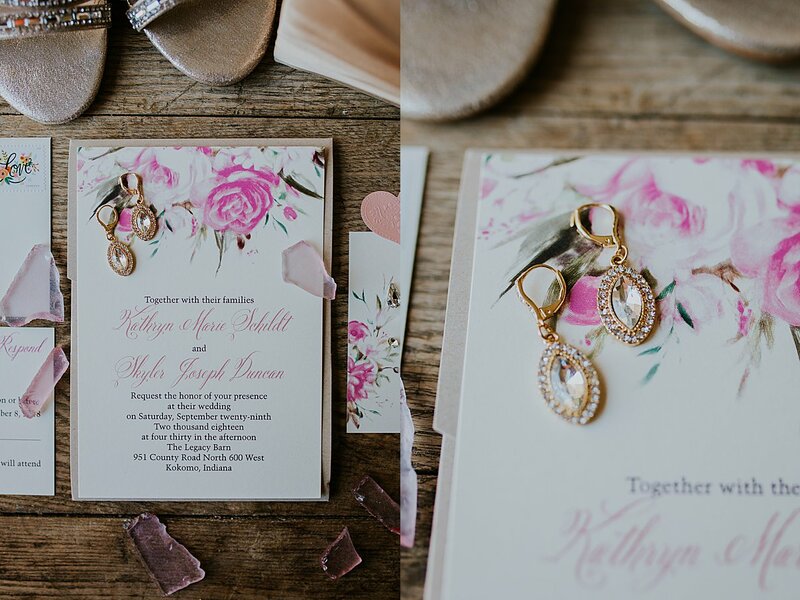 You’ll need one full unused set of your invitations with the envelope and embellishments(including the RSVP card and it’s envelope), your wedding program and reception menu. You can include stamps or wax seals and wax stamp for added fun. Step 3. Add forget me nots. 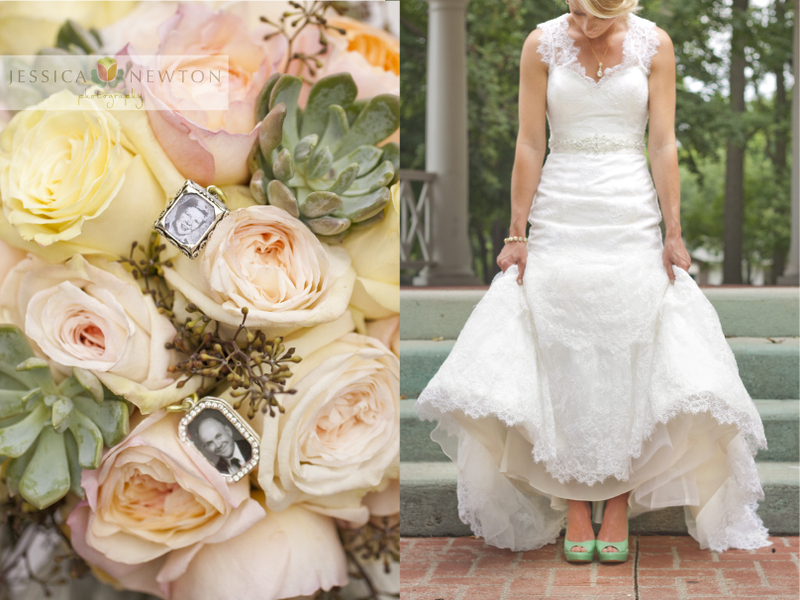 We encourage brides to add some of their favorite items from their wedding year festivities. Things of significance that you love and want to remember. 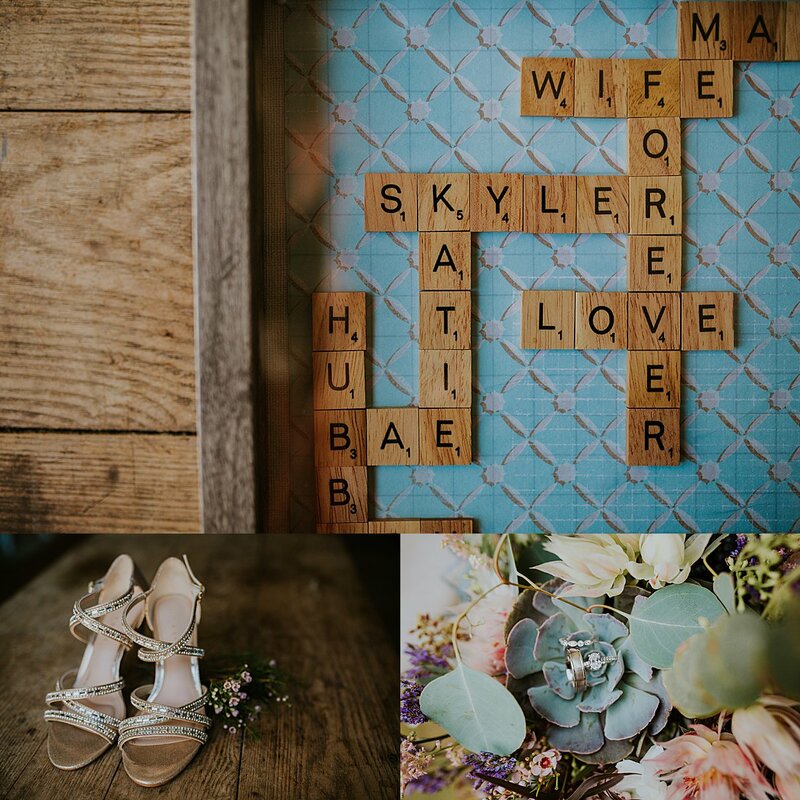 Beautiful ribbons from your bridal shower decor, an extra special note from your Mom, a creative wedding gift like the scrabble mash up below, etc. Step 4. Add your something borrowed and something blue. Whatever it may be, this is a classic tradition. If you plan on having your borrowed and blue on your wedding day, slip it in the box. Step 5. Add your jewelry. Earrings, necklace, wristlet, hair broaches, the works. Shiny glittery things are our fav and we want to see your box shine. And don’t forget your rings, all 3 of them. Step 6. Add your shoes and veil. Self explanatory. Step 7. Add your Groom’s details. 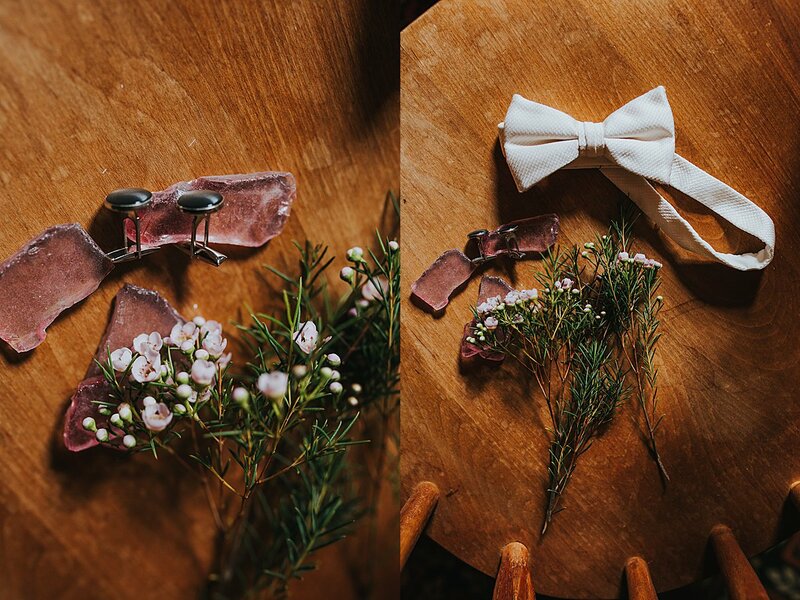 Shoes, special socks, cuff links, bow tie, lapel pin, watch, handkerchief, etc. Step 9. Add fresh florals. Your florist will typically provide a vase of odds and ends from lose pieces of florals that are leftover from building your bouquet, boutineers, and centerpieces. Step 10. (optional)Add your bridesmaids and groomsmen gifts. Include a single gift from each of your sides with it’s original packaging. You can also include the entire set of gifts if you want a lineup. And there you have it! Your wedding day photography box is complete! Do not feel obligated to follow each step. 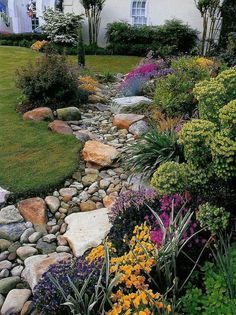 Just add the basics if you want or get creative and add additional items for more fun. 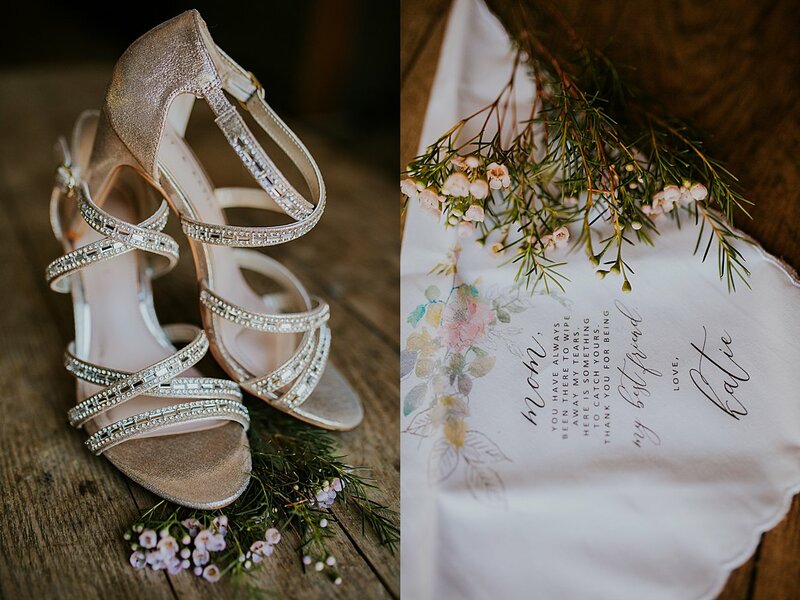 We love details and we love our wedding couples, can’t wait to see what your box looks like! There was fun to be had this past month! The studio has been kept busy busy busy this winter and I’m sooooo looking forward to doing this again in just a few short days! 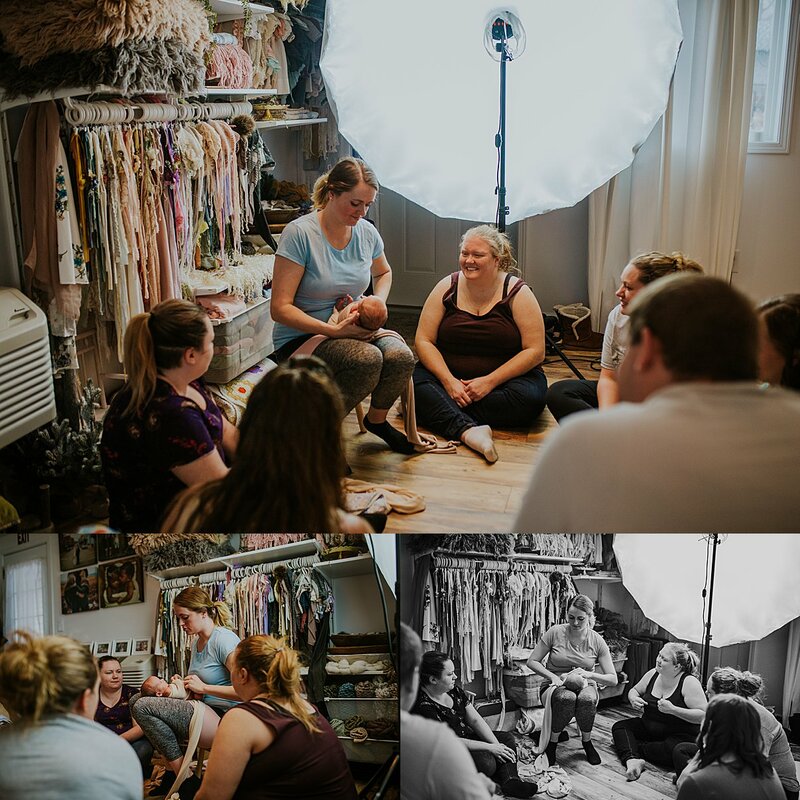 In February I opened up the JNP studio here in Kokomo Indiana to other newborn photographers, most of them from Indianapolis. We met for some fun and community time, but most importantly we met over a common goal. 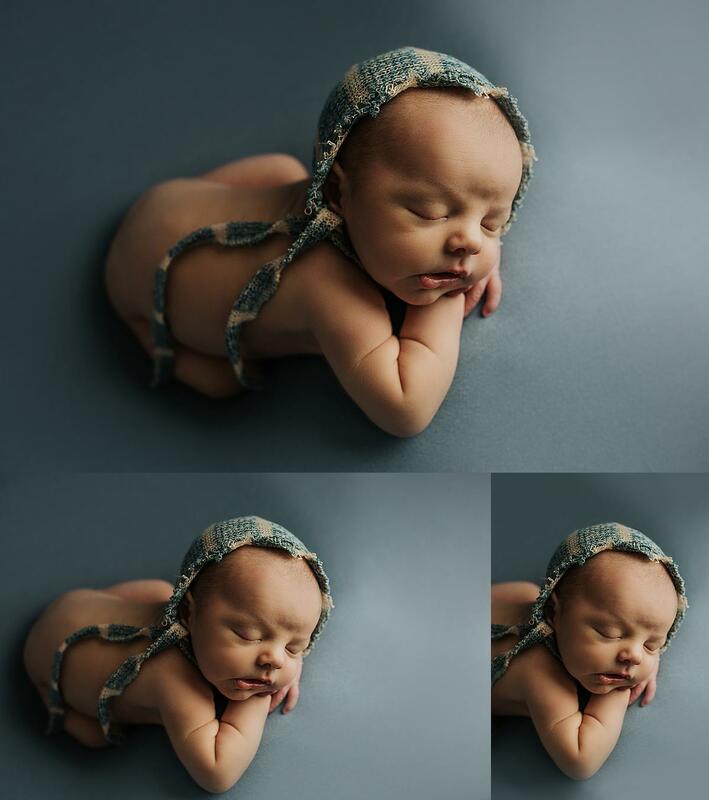 To become better newborn photographers. 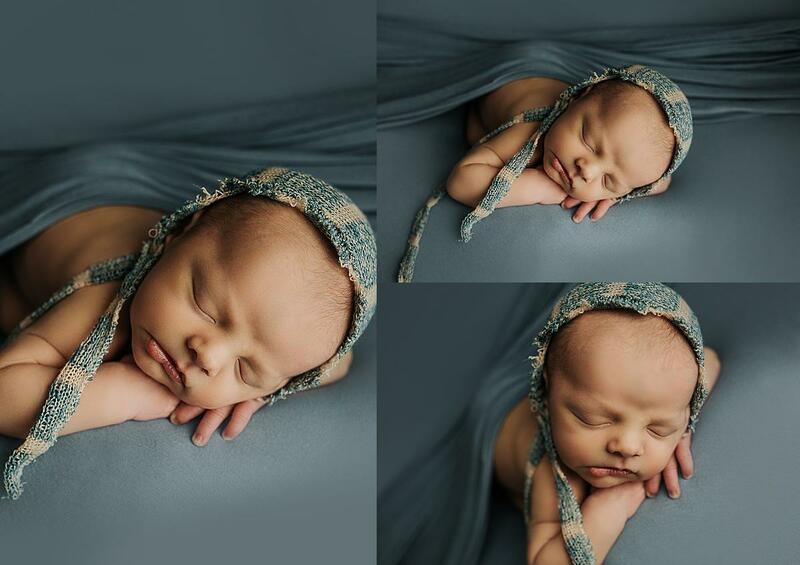 Newborn photography is HARD. 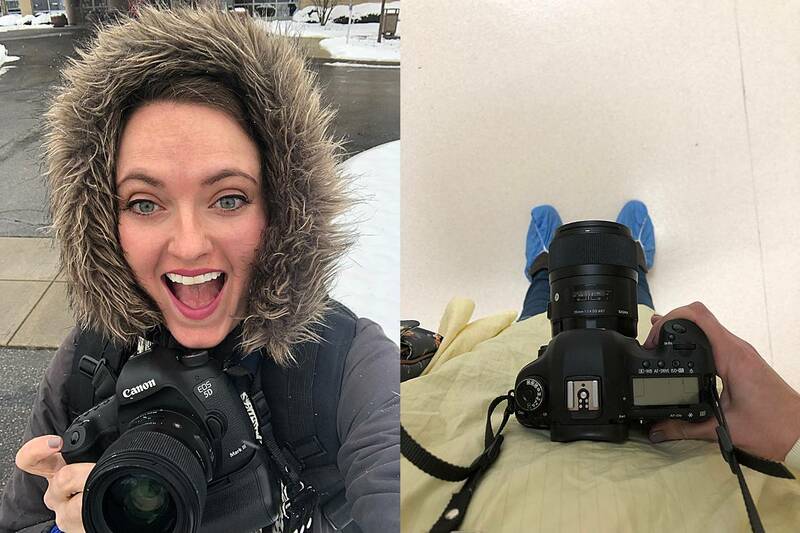 It’s so different from any other kind of photography and requires extensive posing knowledge and safety techniques. 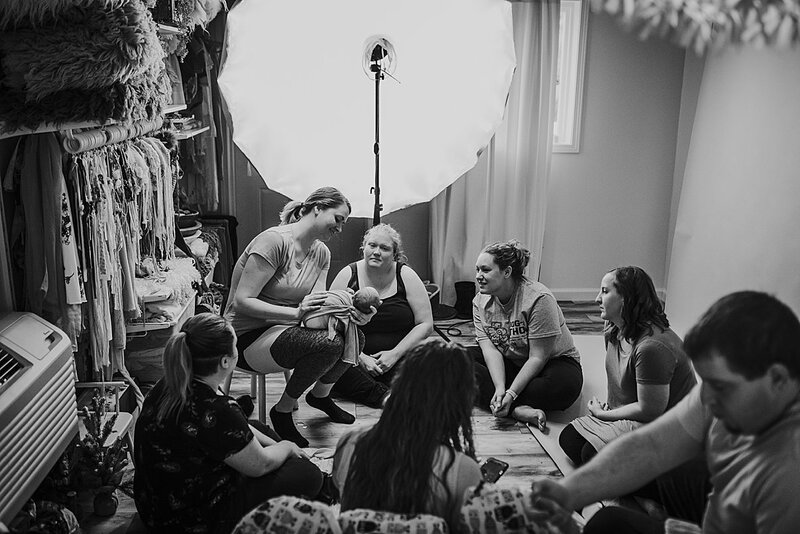 We focused on both for this newborn photography workshop, so that participants could leave with the knowledge to comfortably and successfully work with newborns on their own. 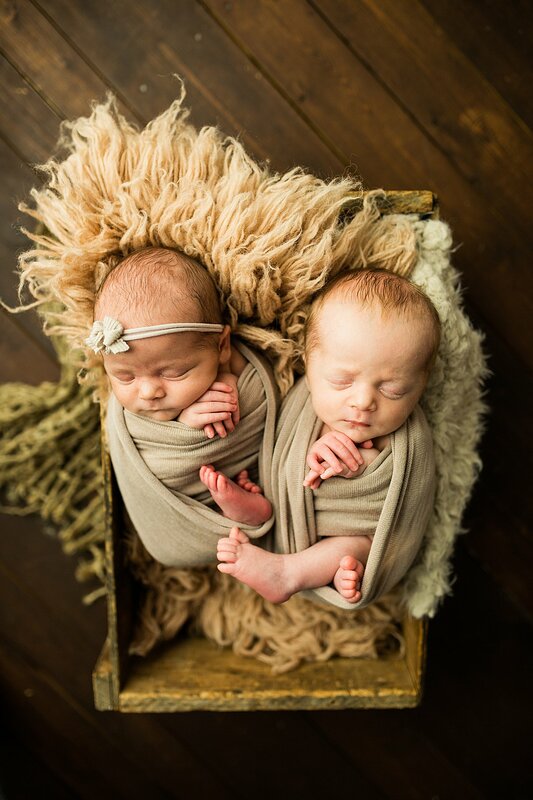 And surprise…TWINS! 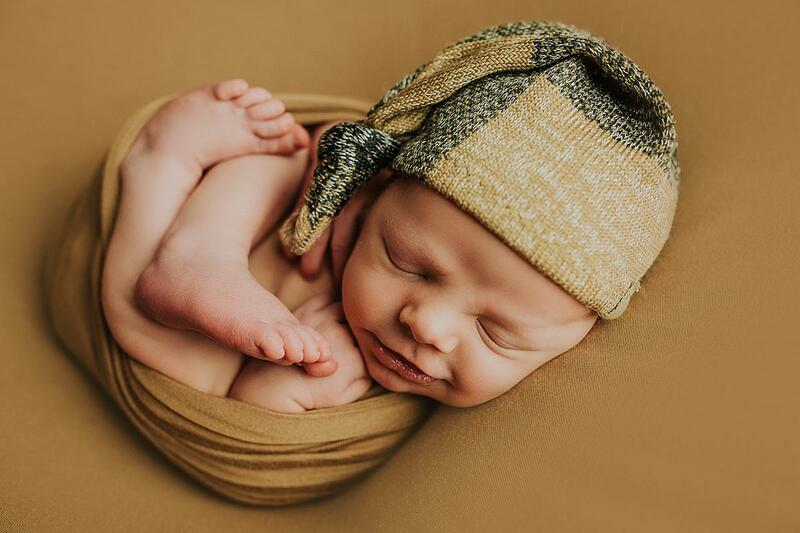 After having several newborn photography models cancel and coming down ill with the flu, we were in a desperate search for a baby to play with. 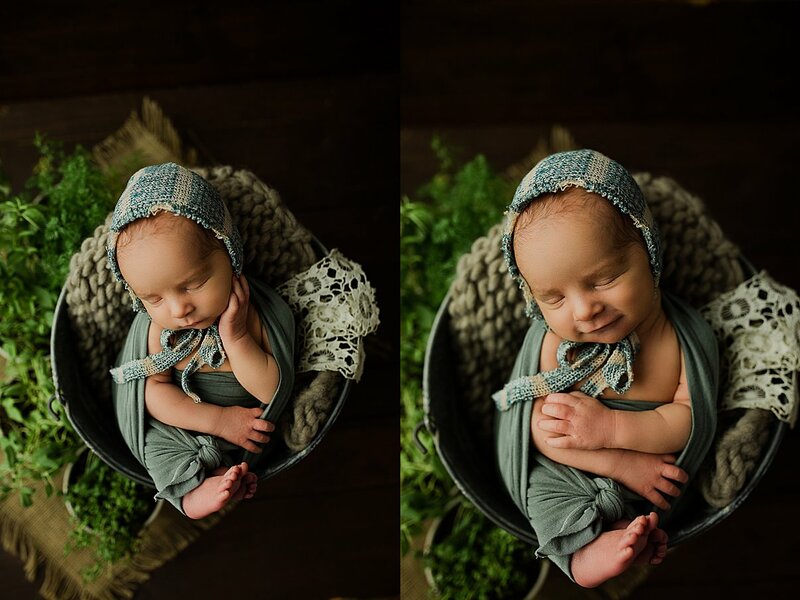 As luck would have it, the Atkins family let us borrow their twin son and daughter duo for the session and they were absolutely perfect. If you’re interested in attending a JNP workshop, we’d love to hear from you! Our next workshop is on March 30th followed by our last workshop of 2019 on April 27th. Email jessicabnewton@gmail.com for class info and pricing. Happy baby snuggling! 2019 Styling Guide. Kokomo & Lafayette Indiana Photographer. Squeeeeeee SPRING IS HERE!!!! Okay okay it’s not for 2 more days…but it’s hereeeeeeee!!! The flowers are starting to pop up in my yard, the last snow just came through, and the weather this week is in the 50s so I’m calling it. April & May are coming up fast and with sooooooo many sessions already on the schedule, I thought it might be a good idea to start doing seasonal styling guides! It’s helpful to have a color palette to go off of and I tried to do a mix of what 2019 trends are “in” for the season. Blush blues and pinks are very in this year as well as jeweled and floral patterns. Wedged heels are making a comeback and suspenders and bowties remain on trend for 2019. One piece pant suits are absolutely everywhere, ranging from solid colors to bright and bold floral prints. I love the halter style above, it screams spring to me with both it’s color and style. Minimalist jewelry has remained in the running for this year, with simple geographic shapes staying at the top and natural geodes/unfinished stones also being in. 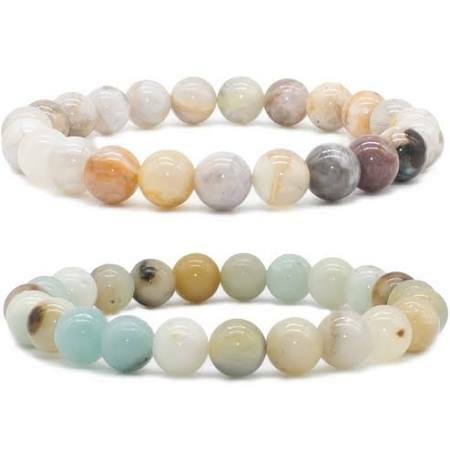 And remember those natural stone round bead bracelets from the 90s that we all used to wear in middle school? They’re back too as a highlighted must have accessory. I just bought this set pictured below from Amazon but you can find them in almost any fashion forward store. Also hats! Hats seem to be the fastest growing accessory for 2019. I love a good sunhat for spring photography sessions and field hats have won my heart over recently. Buckle is one of my favorite stores(there’s one here in Kokomo Indiana Markland Mall) and has a good selection of hats for both men and women. Something new…Dalmatian spots! This is a trend that I haven’t made my mind up about and did not include in the styling guide above but I can imagine it would be a fun pattern to throw into any session, especially for seniors. Also a small tip. Since color and florals are in, if you aren’t a bright color or floral patterned person but want to try something new, I recommend accessorizing. Something as simple as a sunhat with a pop up colored ribbon on it or a bow tie with a floral pattern can make a look come together. 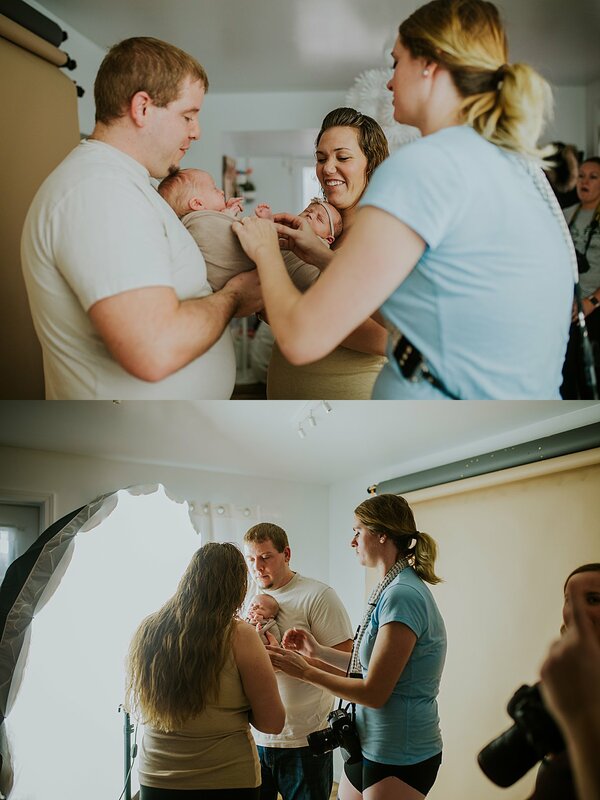 And don’t get too overwhelmed when trying to style your family for an upcoming session. Muted tones are ALWAYS on trend and are a classic look that with last and make your photos remain timeless. The specific clothing pieces above come from a variety of stores that I’ll tag below, but for the most in style trends I recommend checking out stores like Free People, Urban Outfitters, Buckle, Shein, Banana Republic, Baby Gap, Zara, and H&M. Target is also pretty good at keeping up on trends(their Knox Rose collection is my favorite) and Jax and Lennon Co. is my current fav for littles with their minimalist style and vintage patterns. I look forward to seeing you all this spring! **Note to Add. Photographer friends: Want to use this styling guide for your own clients? Yay! Please please please link back to me. It took me a longggggg time to build this guide and to compile this list, I’d appreciate the credit. Jeweled Floral Top and Tulle Skirt. Wedge Heals. Valentino V Earrings. Floral Dress. Pink Pom Shoes. Jeweled Cross Body Purse. Grey Stripe Romper. Grey Strappy Shoes. White/Grey Stripe Romper. Denim Cuff Shirt. Muted Teal Chino Pants. Grey Loafers. Blue Men’s Shirt. Khaki Dress Pants. Salmon Girls Dress. Braided Sandals. Floral Romper. Sun hat. Gem String Necklace. Blue Boys Shirt. Striped Pants. Boys Loafers. Pink Sash Jump Suit. One of my favorite things to do is to get creative. I love crafting and making new things, especially making new things from old things. But I especially love bringing ideas that clients have to life for their sessions. 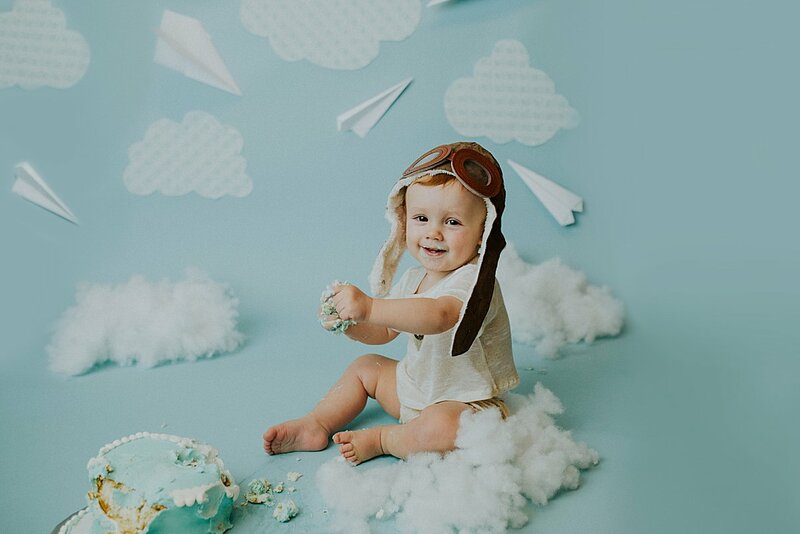 Weston’s mama knew that she wanted a Pilot theme. 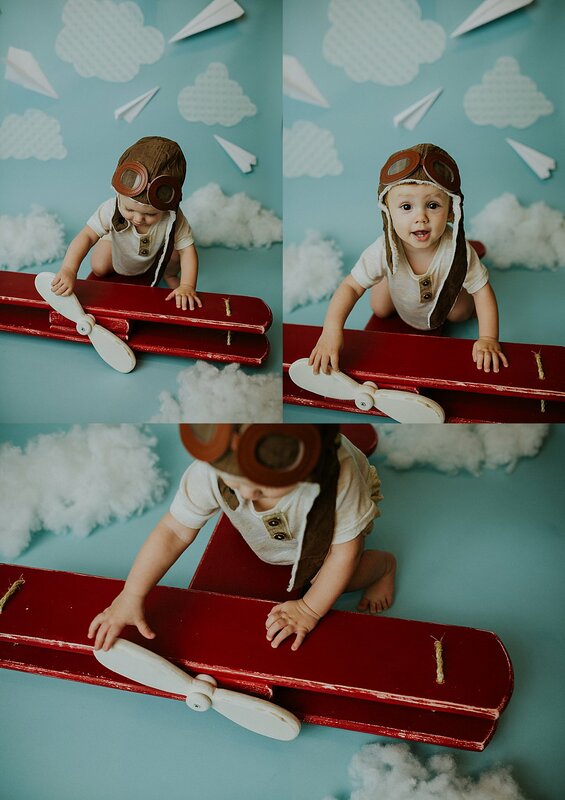 Weston’s grandparents made a red plane for him before he was born and she wanted to incorporate it into the session somehow. 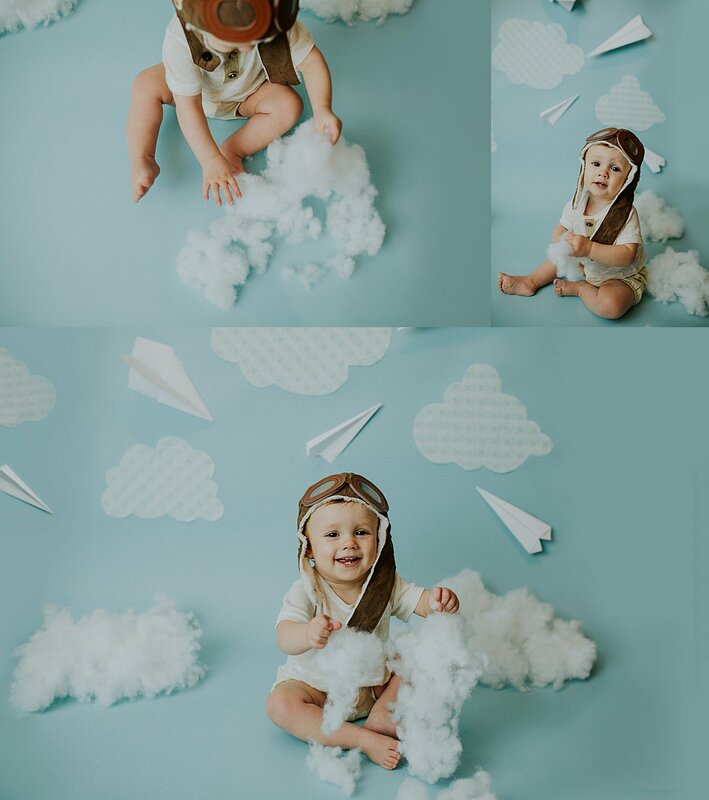 I was scrolling pinterest recently when I saw a paper plane theme for a photography session and I just knew I had to incorporate it. So I did! And it turned out just like I thought it would. I even created the little paper plan cake toper and it was the perfect accent. 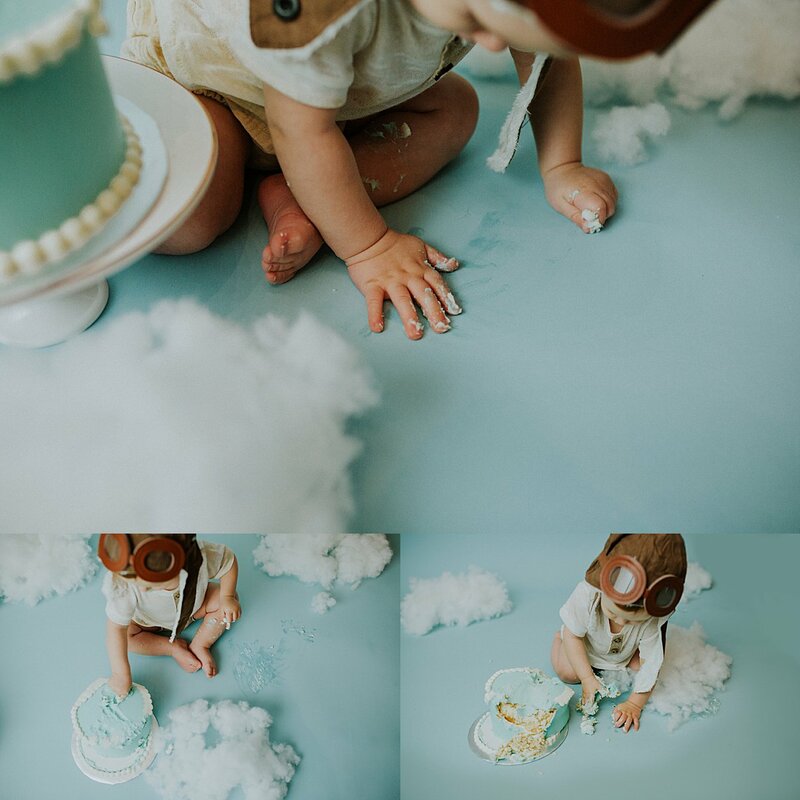 Weston wasn’t sure about the cake at first but eventually the icing won him over 😉 Happy first year Weston! Brrrrrrr it’s cold today! 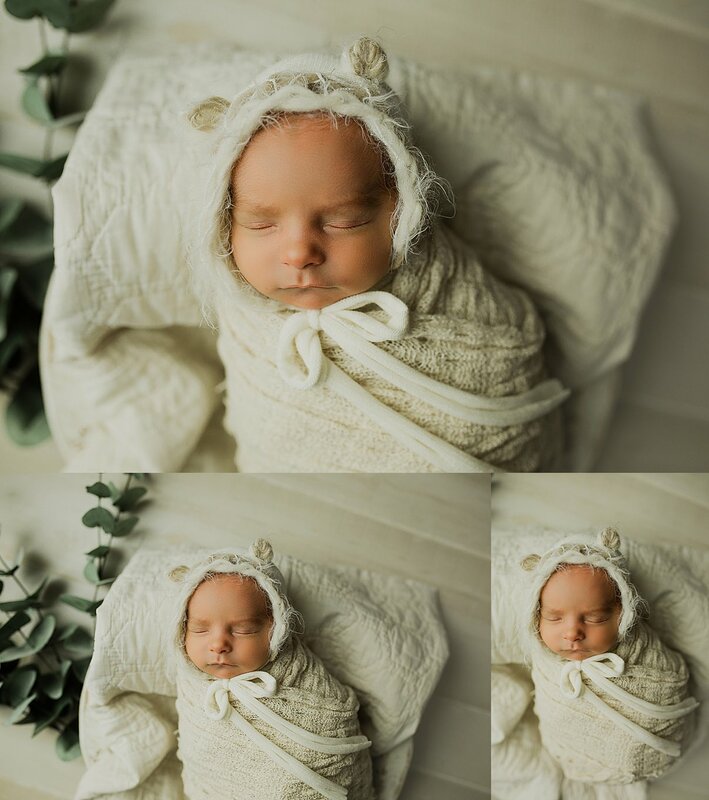 Reminds me a lot of Baby Michael and his fam because his newborn photography session took place on the coldest day of the 2018/2019 winter season. 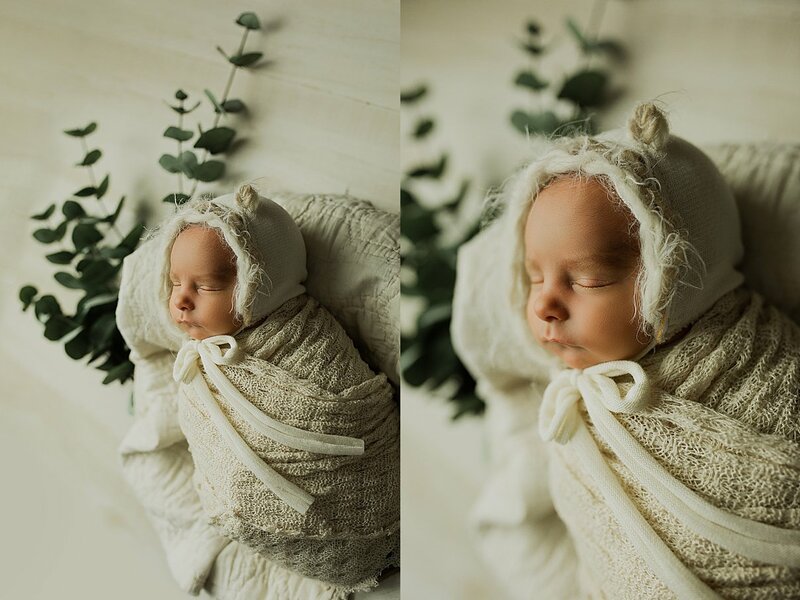 With temperature warnings of a -40 degree windchill, we were sooooooo happy that his newborn photography session for that day was an in-home session. 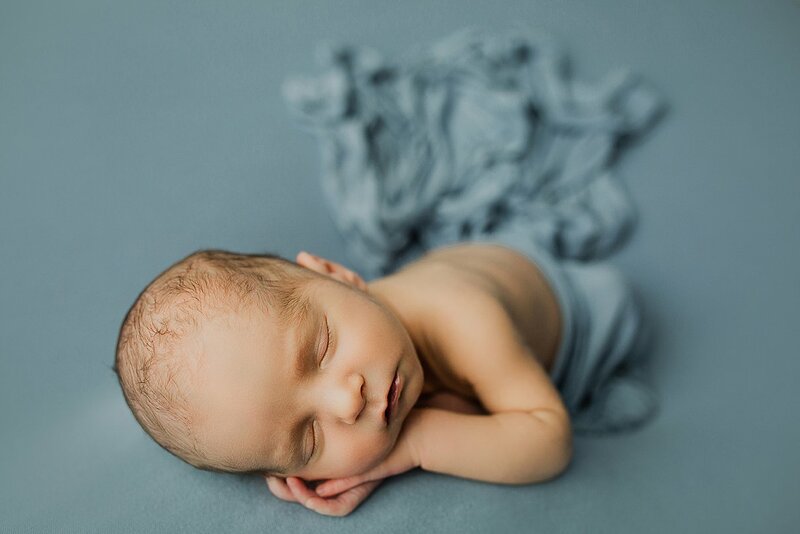 Originally Michael was going to be visiting us here at the Kokomo studio, but after a little trip to the NICU, his mama asked if we could switch things up to do an in-home newborn photography session instead. And of course we said yes! 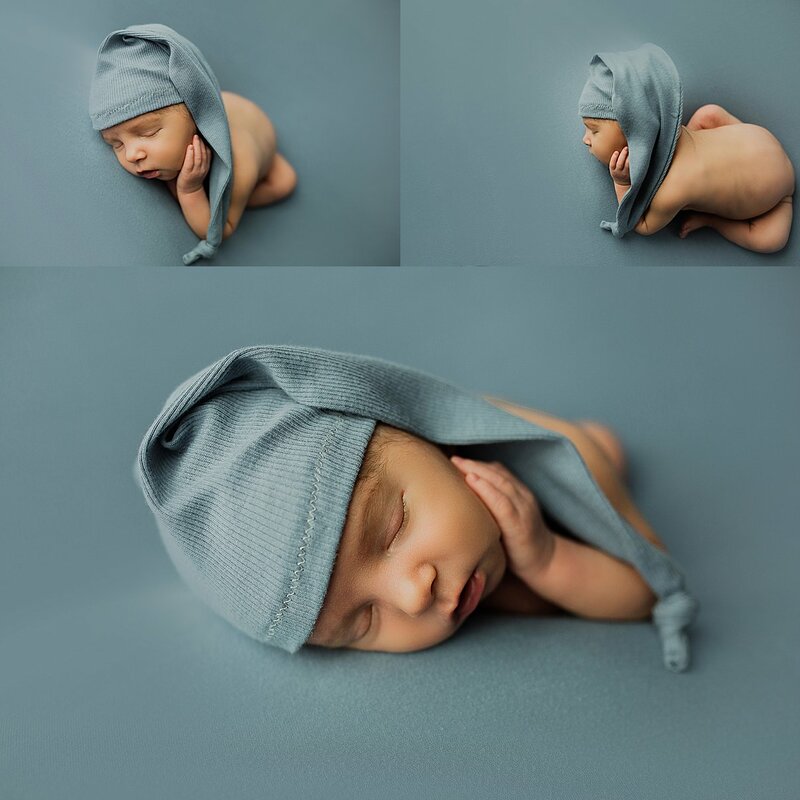 We love in-home newborn sessions and they are sooooo beneficial to our little clients and their parents. Everything is doing right in the comfort of your home with everything you need already at your fingertips. Thankfully Doris and I were able to still get out despite the frigid temps(I was worried for a bit). 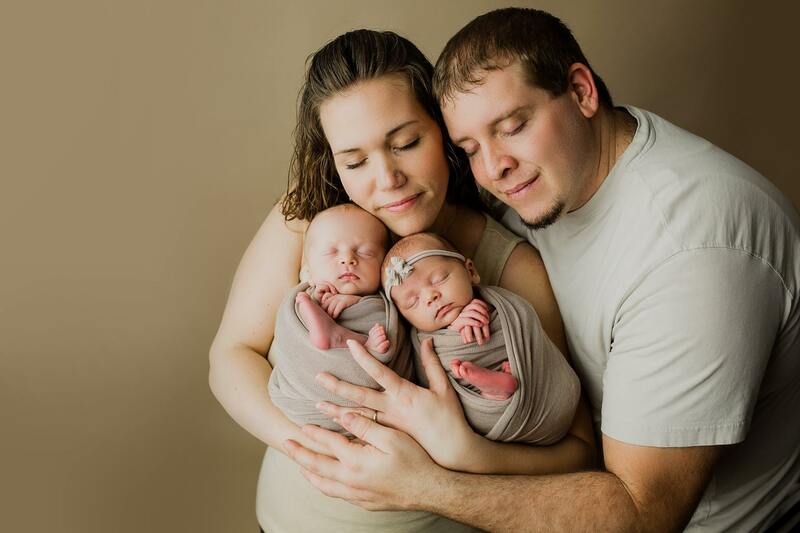 So we packed up the JNP traveling photography studio, and headed out to Lafayette Indiana so Michael and his family never had to leave home. 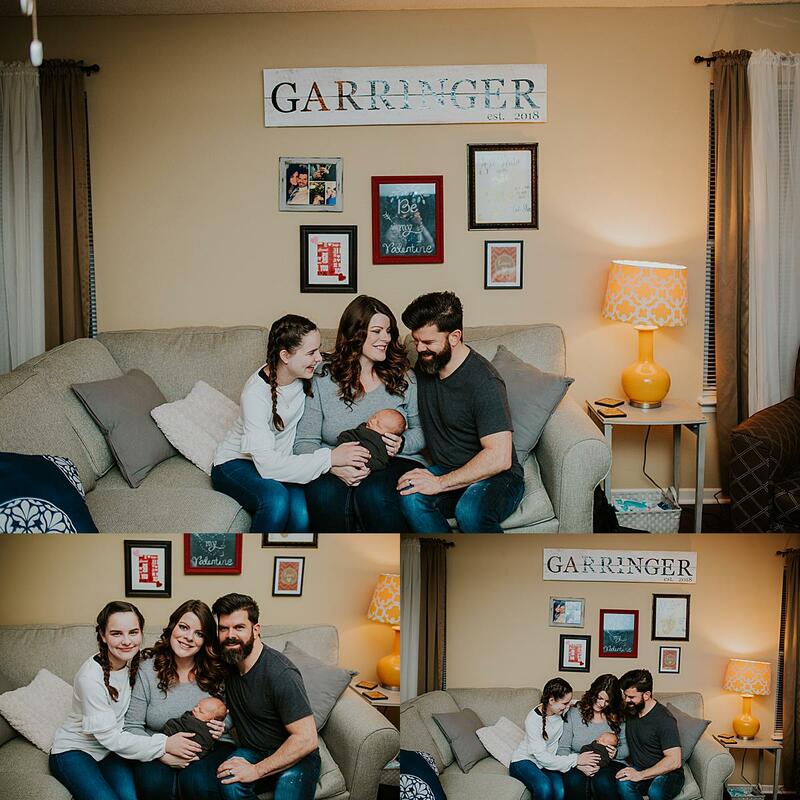 His session mostly took place in the family living room with a handful of lifestyle images being done in his nursery and main living room. 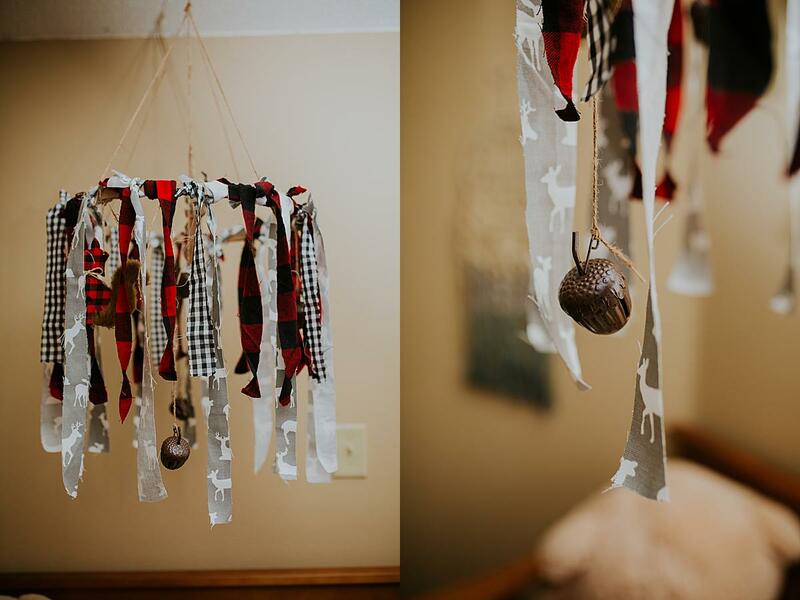 His mama had requested a setup with buffalo plaid since Michael’s nursery was decorated in a woodland animal lumberjack theme. 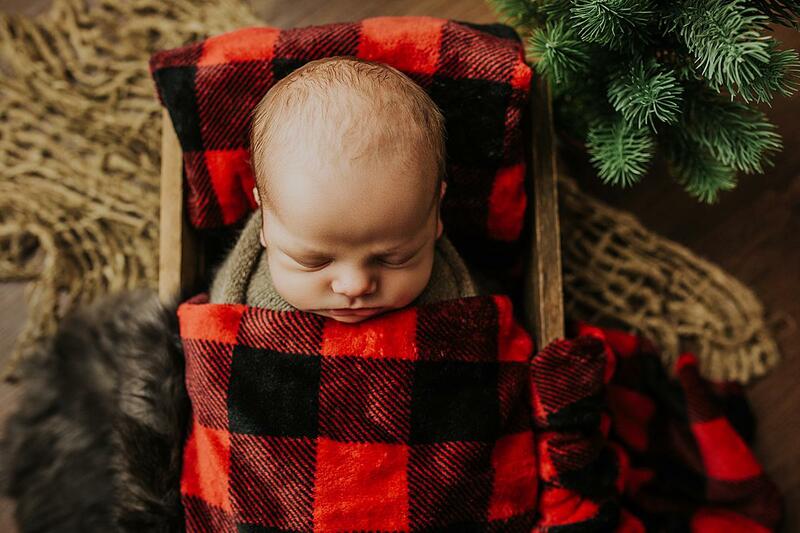 Buffalo plaid isn’t something I get to use a lot with newborns and I think it turned out cute! See some of our favorites from his session below. Memories. 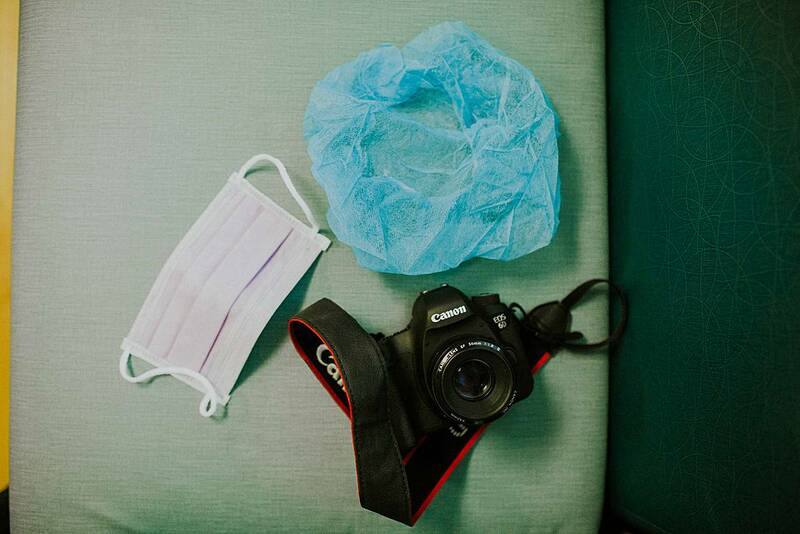 Recounting my first C-Section Birth as a Photographer. 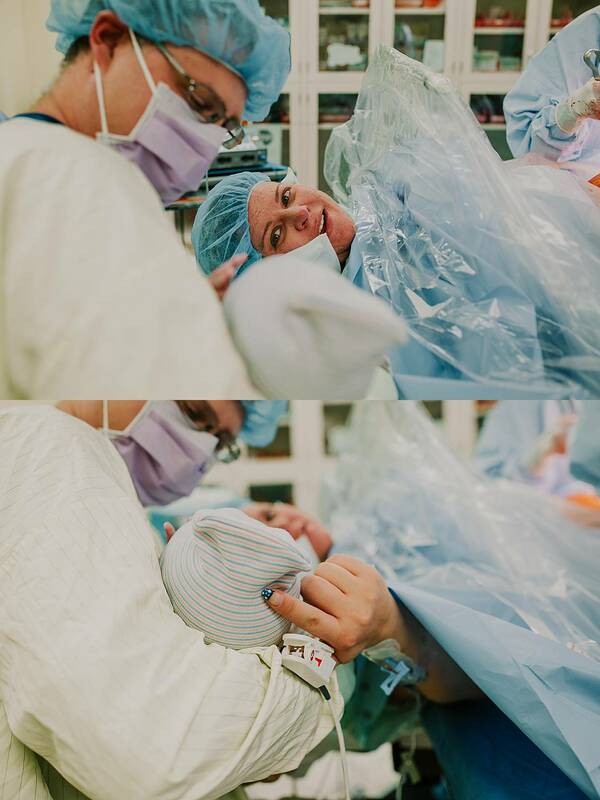 Being on the other side of birth as a birth professional is an incredible thing. As a mom that has gone through 3 births of my own, it’s quite the experience to go back into the birthing sphere when it’s not your own birth that you are experiencing. The sounds, the smells, the familiarity, it brings back so much nostalgia. 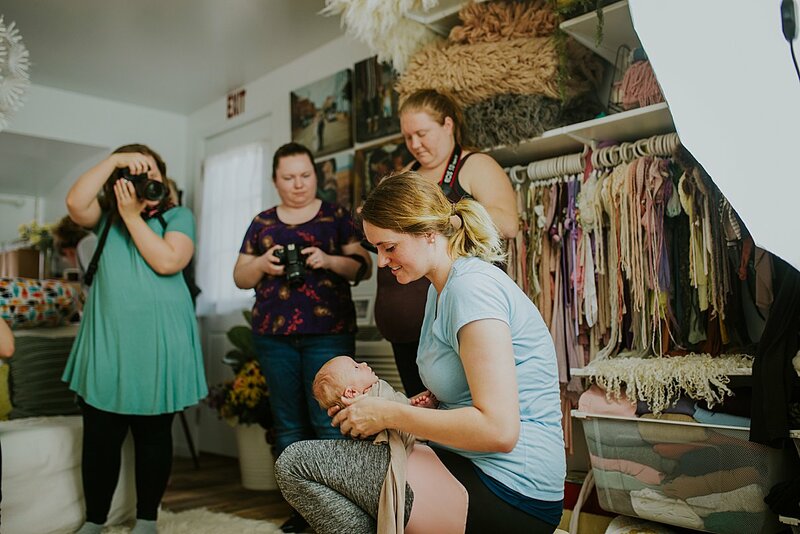 Watching other women meet their babies is an empowering and sacred experience that you won’t ever find me taking for granted. Today is Margot’s birthday. 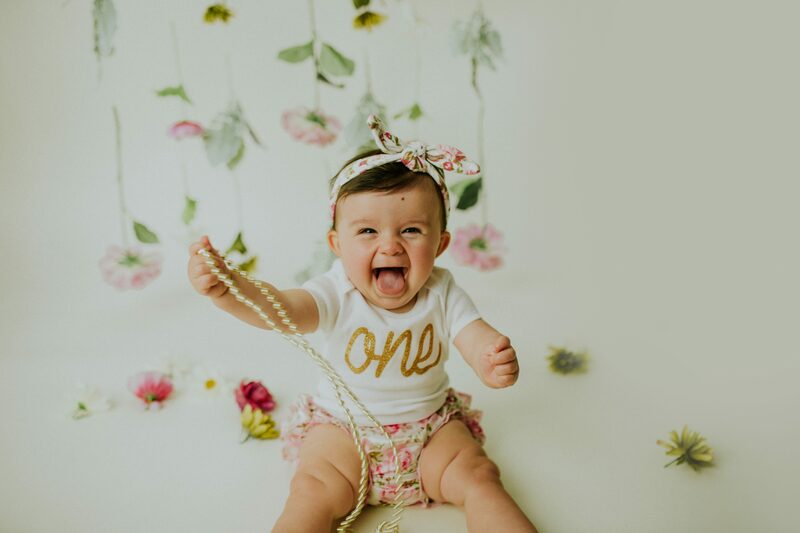 I met Margot one year ago today(see the full blog post of her birth here) and my life has been changed ever since because Margot was my FIRST csection birth story. 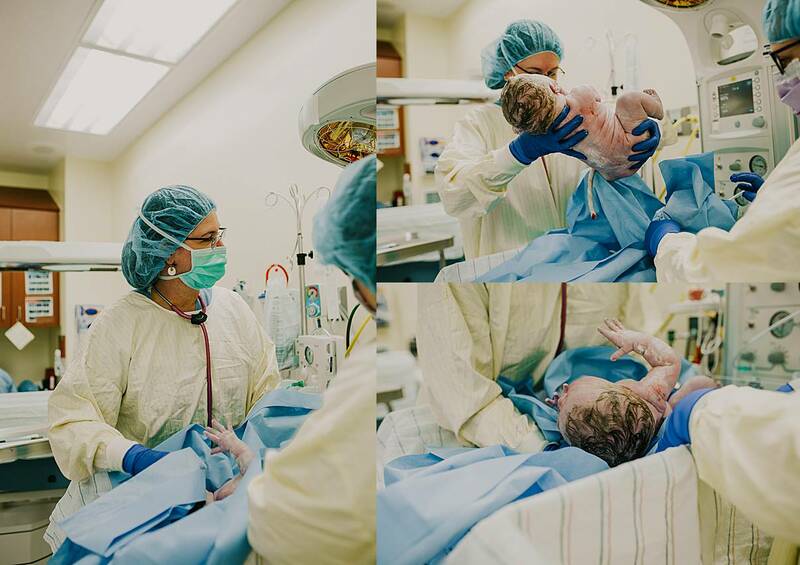 I won’t ever be able to forget the babies that I’ve watched come earthside in my career as a birth photographer, but Margot’s birth holds an especially sweet memory in my heart because she was my one of my firsts. Margot’s mama Bethany is a photographer too and she was looking for a birth photographer to cover her upcoming csection. Of course I volunteered immediately, but I didn’t hold out hope that Bethany would choose me(she had a LOT of options among the list of photographers that had volunteered). But much to my surprise, she asked me to be there! 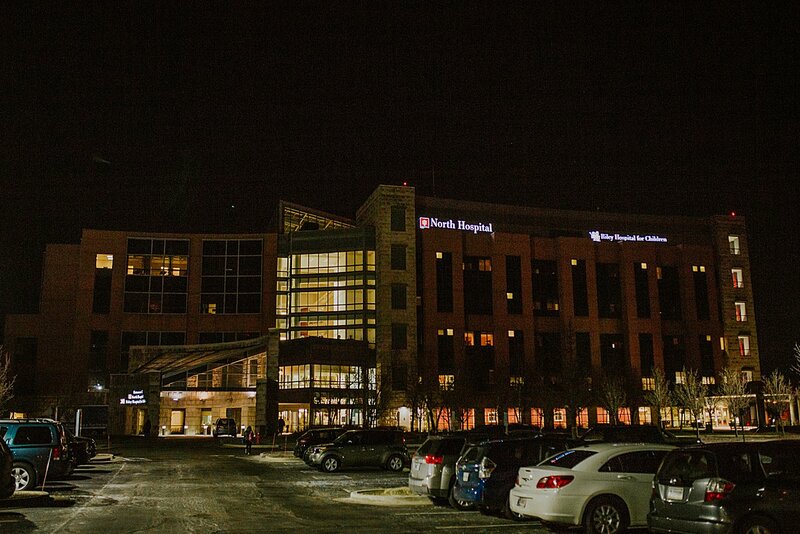 I met Bethany early early that morning at IU Health North in Carmel Indiana, before the sun was awake. 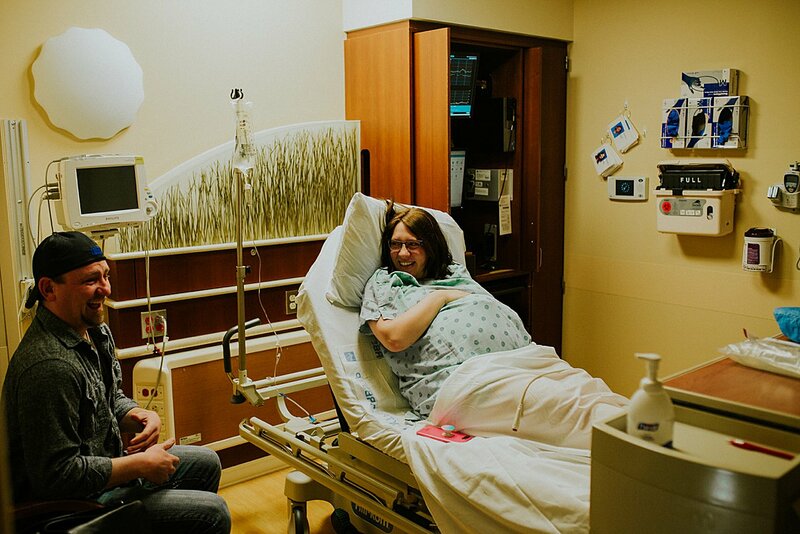 Her and her husband were almost giggling together in their labor suite when I arrived, practically glowing while prepping for their rainbow baby’s arrival. Smiling, laughing, totally at ease and counting down the minutes. A few moments later, the nurse came in and told us it was time. She helped Bethany with her blue cap and handed me and Dad some caps of our own. 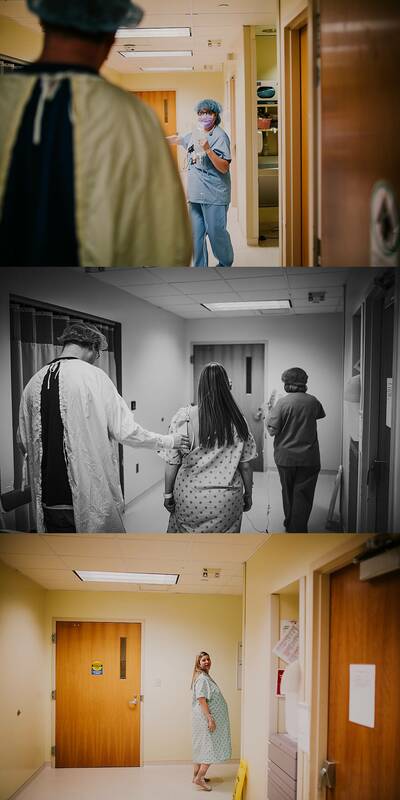 Shortly after we walked the halls together towards the operating theater and Dad said his temporary goodbye. Being just outside the OR in that special waiting room is something. You could cut the air with a knife it was so thick. Bethany’s husband quietly waited, nervous. 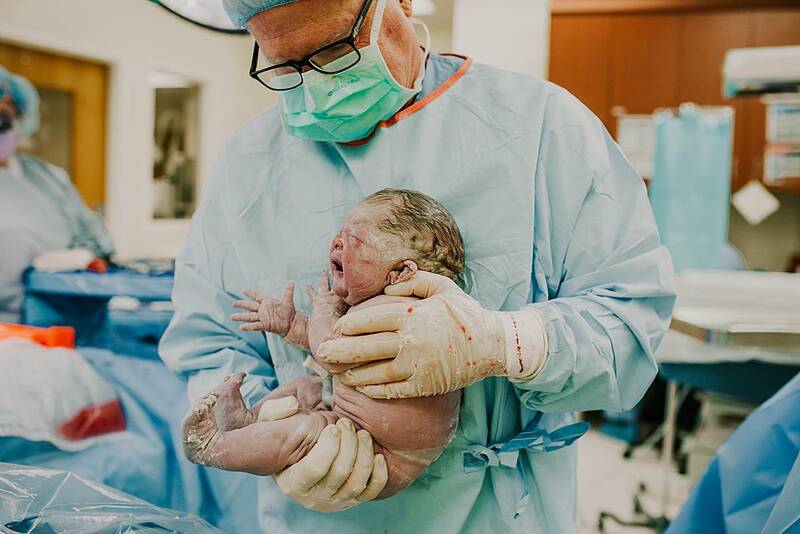 He was no stranger to csections and this was his 3rd experience, but it didn’t make things any easier. 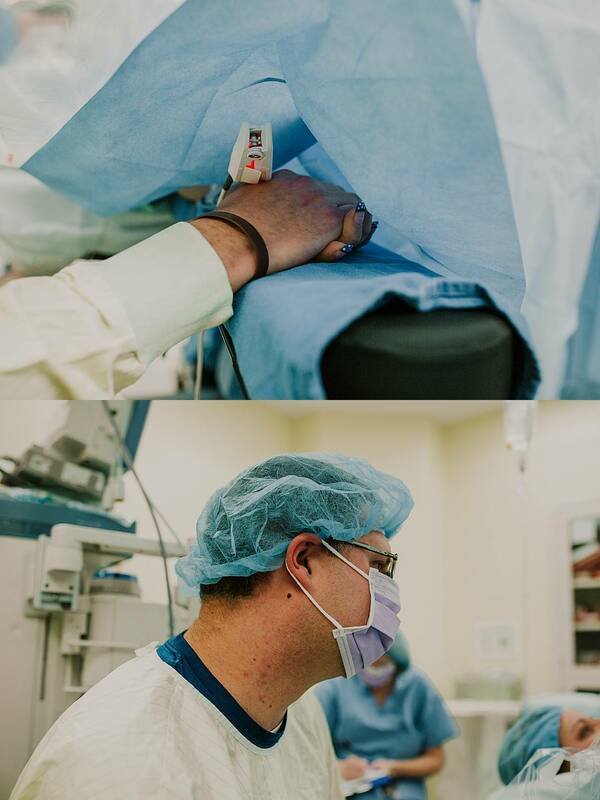 Knowing that your wife is willingly going through major abdominal surgery, for you and your family, for your baby, isn’t something that you take lightly and it showed. 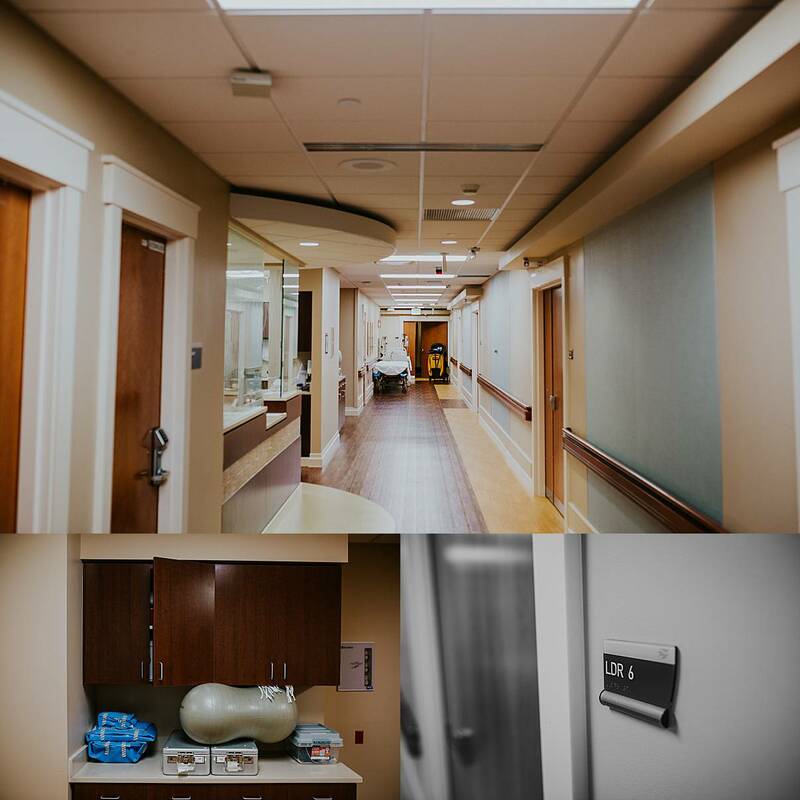 It was completely quiet except for the mumbled chatter of the doctors through the OR door. I remember feeling like I was breathing too loudly, very nervous myself, checking and rechecking my camera and backup camera to make sure all of my settings were right. 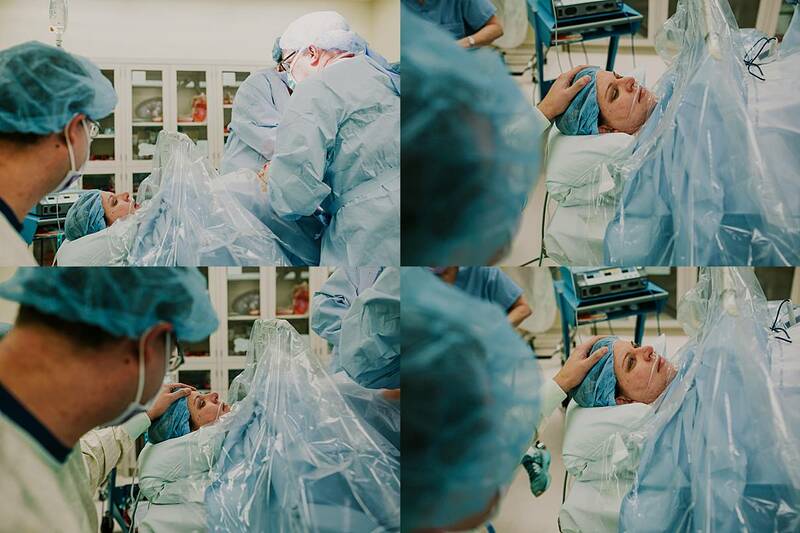 Then the OR doors opened and they called us back. 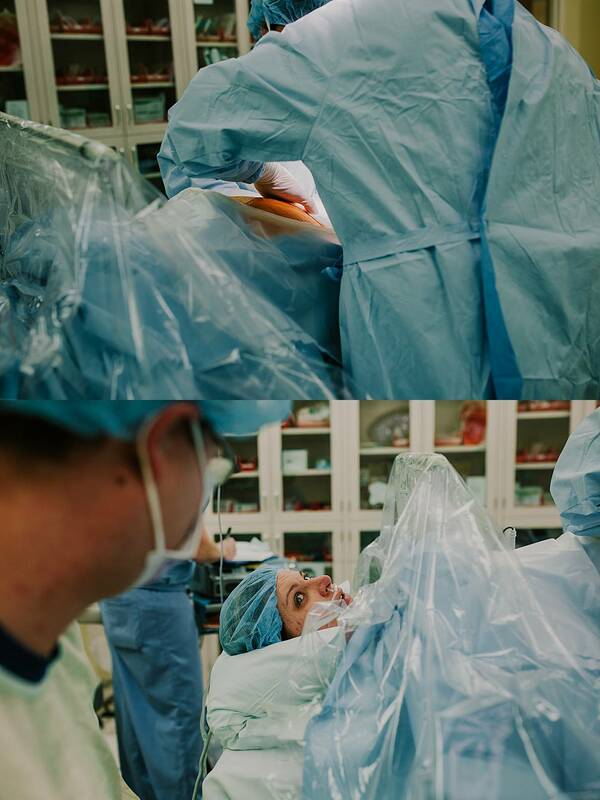 I remember being surprised at how small and bright the operating room was. 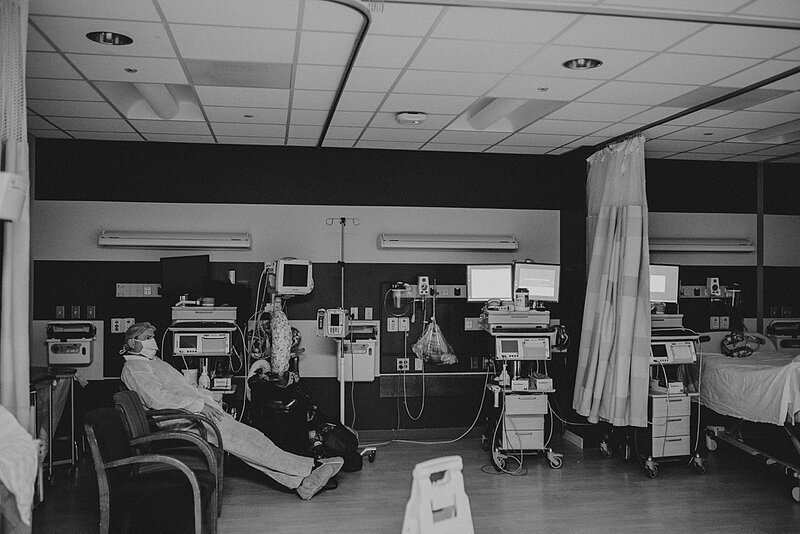 In my head I always imagined this large dim room with silver equipment and an open table with serious faced doctors confidently huddled over their patient (too many Grey’s anatomy episodes I guess). Instead it was a tiny in comparison and blindingly white, with happy doctors casually moving about and chatting. 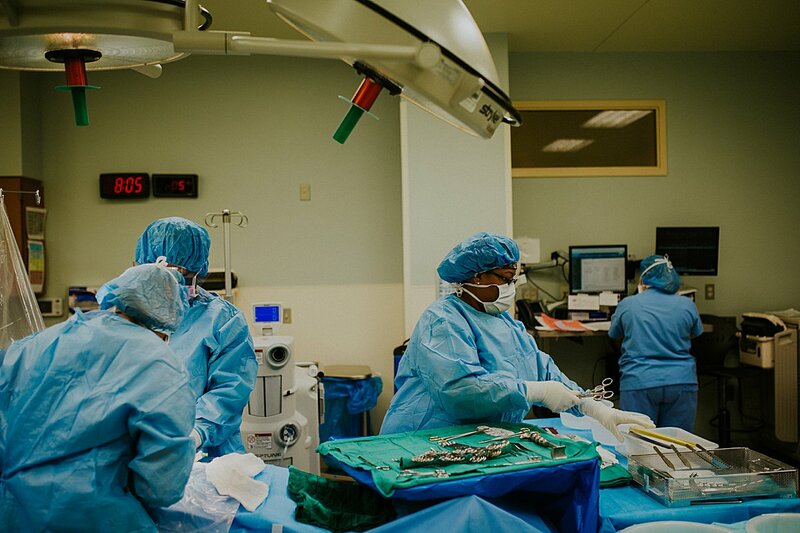 The room was lined with machines, so many machines, just waiting for action and glass cabinets filled to the brim with medical supplies. 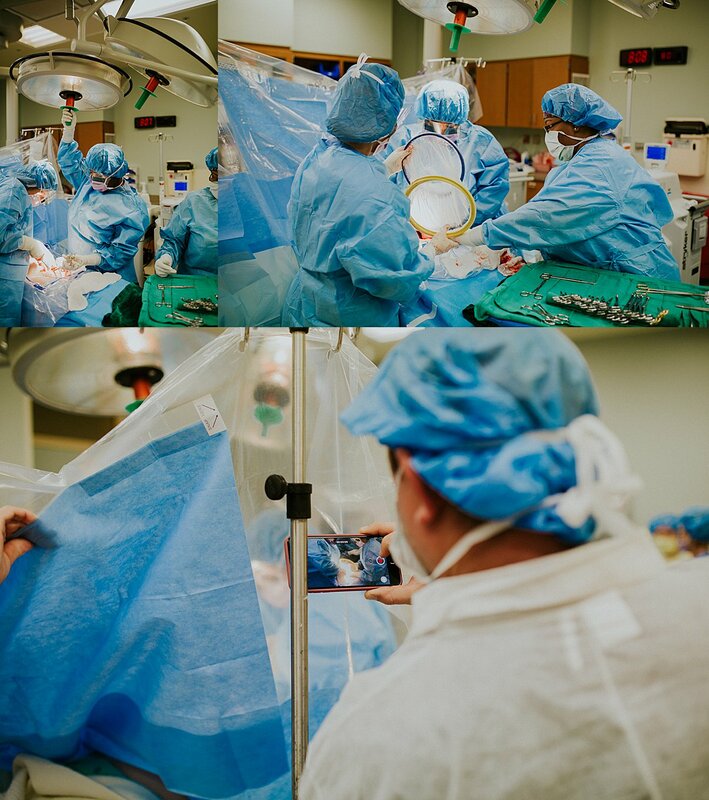 Half of it was dedicated just to Bethany and her medical team and the other half was for Margot’s arrival, with her own medical team patiently waiting on the other side with her warmer. That’s when I got really nervous. The warmer was so so so far away and was against the back wall. 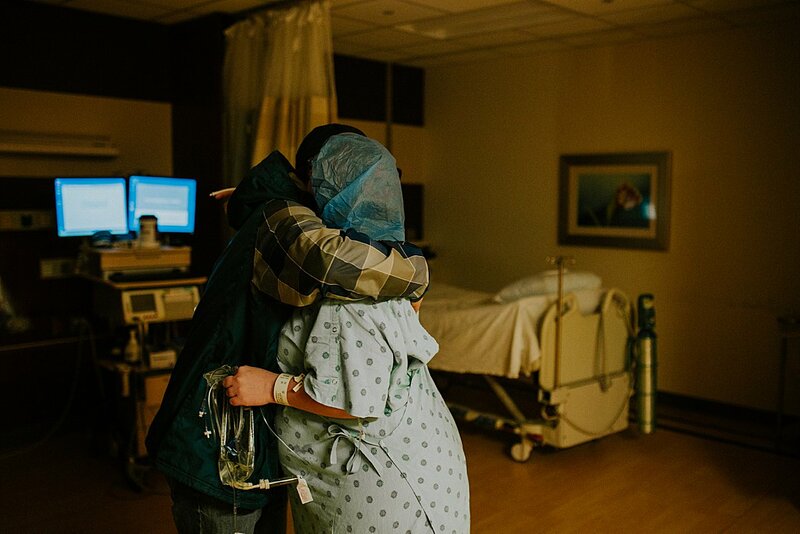 It was in such a position, that once Margot was born, there would be no way for Bethany to see what was going on. And that’s why I was there. Bethany had remarked to me at one point that the other side of the “blue drape” was a mystery to her, because she’s never been on the other side of it. It was my job to be her eyes that day, so that she could have the memories and moments of Margot coming earthside. 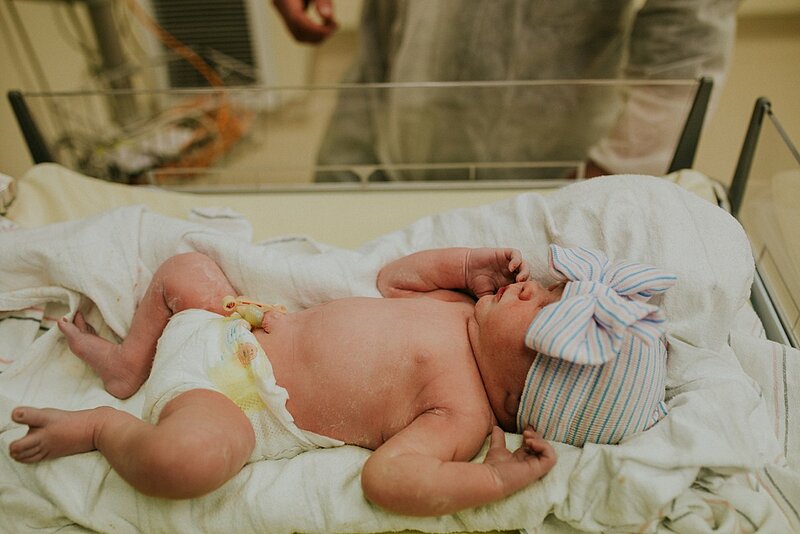 It took a loooooong time for Margot to make her arrival. 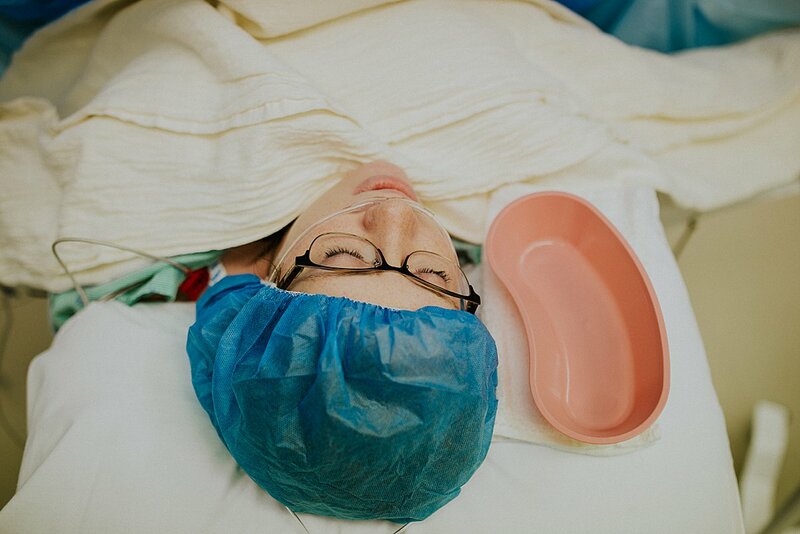 Most csection procedures take around 5 minutes but Margot’s took closer to 30. Apparently she liked her mama a lot and had shimmied up underneath her ribs, refusing to come out. 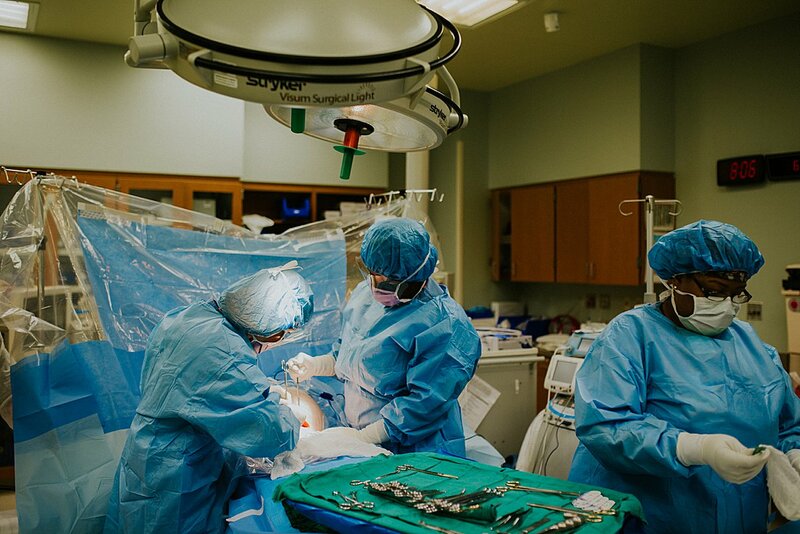 The doctors eventually got out what I can only describe as medical crowbars, to help push back Bethany’s ribs to gain some more leverage on Margo. I now know that this is a very common instrument to be used but at the time it scared me a bit and Bethany too because she was feeling lots of physical pressure. Not to mention her body knew something was going on too, so she was shaking from adrenaline. After about half an hour of coercing, Margot was here. Bethany had requested a clear drape so we all got to see her imerge before she was immediately swept off to the opposite side of the room. 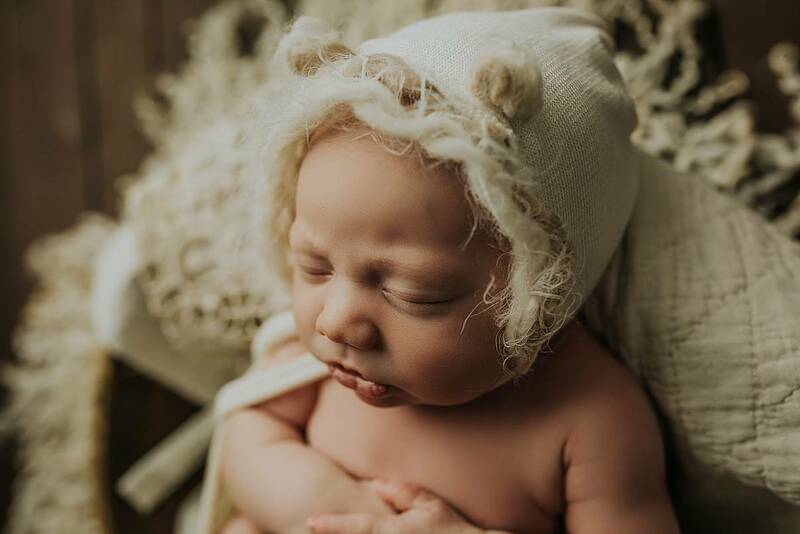 Margot was born 3 weeks early so immediate skin to skin wasn’t an option. Margot was a faint dusty blue when she first arrived, perfectly content where she was but now confused and daised by the bright lights(can’t say I blame her). 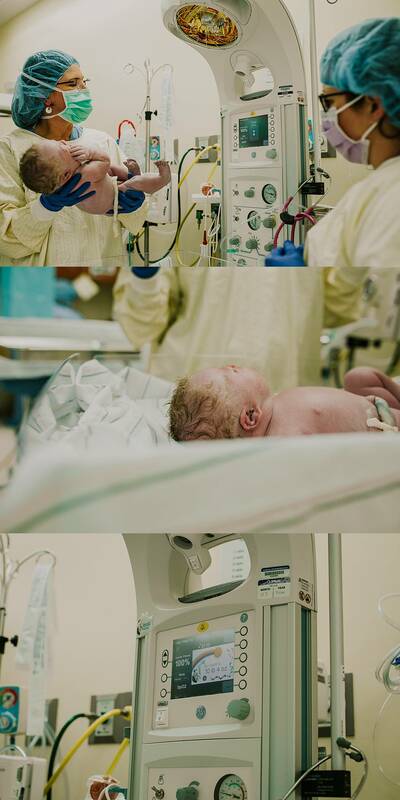 Her Daddy immediately joined her, taking some photos of his own to show Bethany, and proudly looking over his little girl. 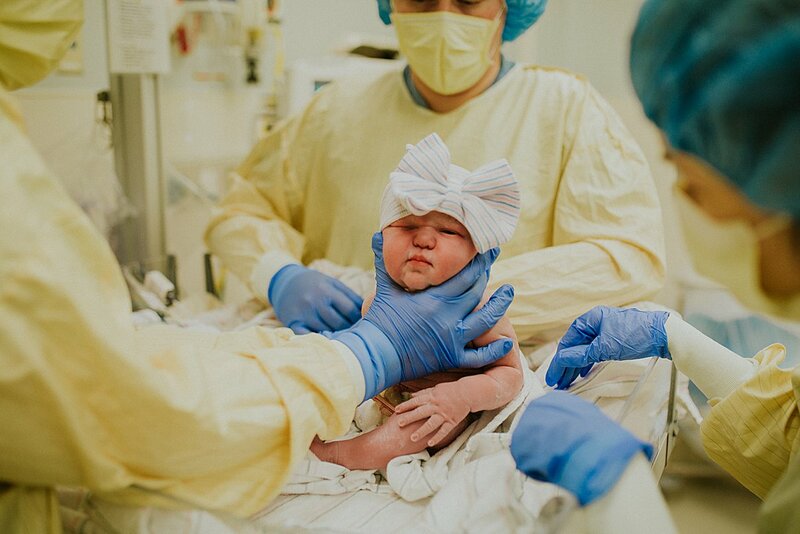 My favorite photo of Margot is when they put this big bow hat on her. That was still the most adorable hospital hat I’ve seen to date! 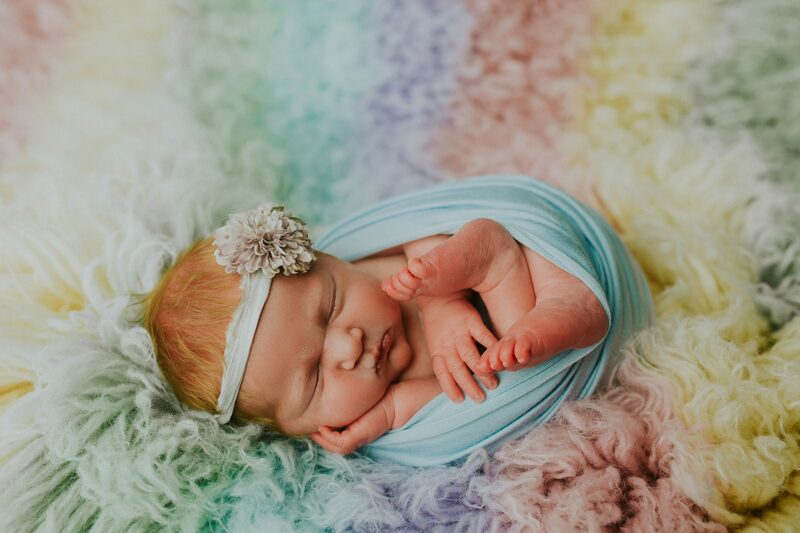 After a while, Margot turned from that dusty blue to a beautiful pink and begrudgingly let us know how she felt about being removed from her mamas warm womb. A few minutes later, there was no more mystery and Bethany and Margot met. Tears flowed from all of us. 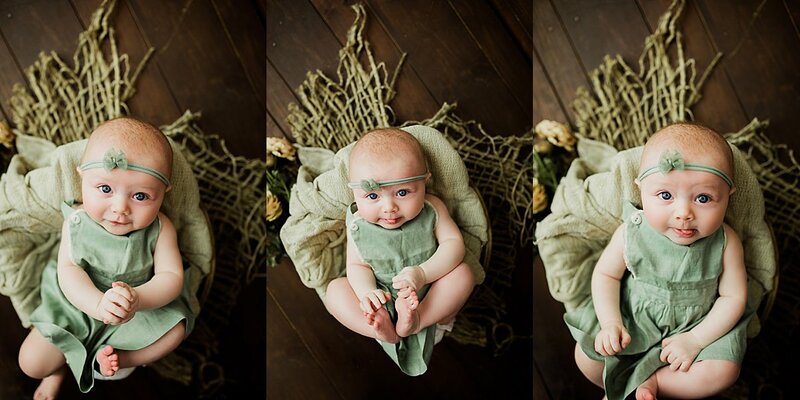 Baby Elvie has graced the blog quite a few times considering that she’s only 3 months(just turned 4 months) old. But can you blame me? 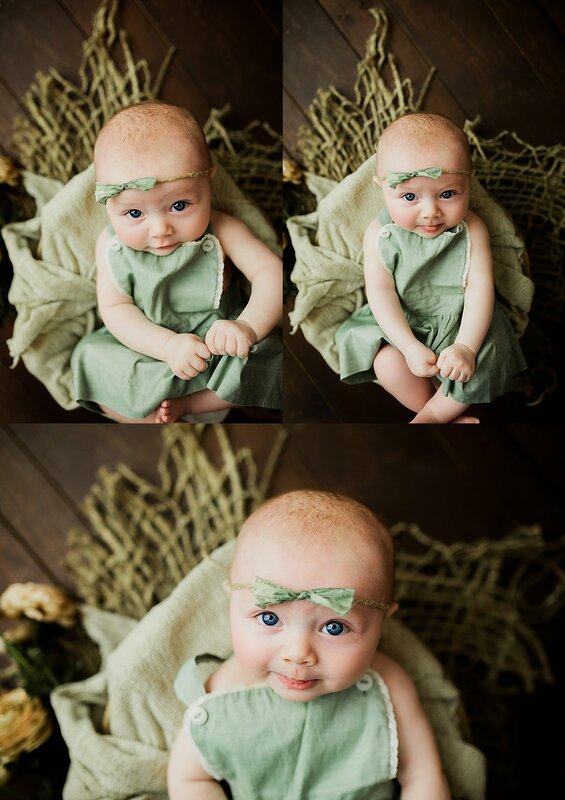 She is an absolute doll baby. Those big blue eyes that have stared up at me and my camera since she was just shy of 48 hours old(see her Fresh 48 session here). 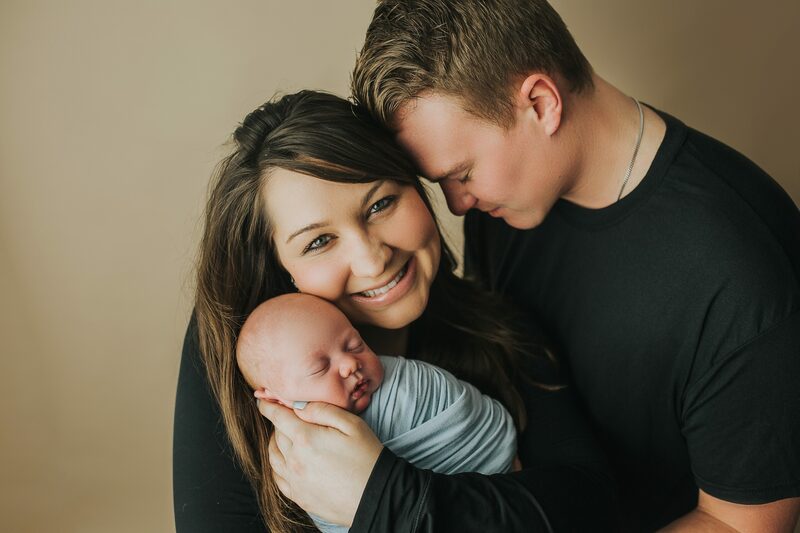 Pregnancy, birth, and that first year of parenthood, it’s a whirlwind of an experience. Several huge life milestones, pushed into a period of time that is a just little under 2 years. The amount that you change and the amount that your baby changes over that time is incredible! 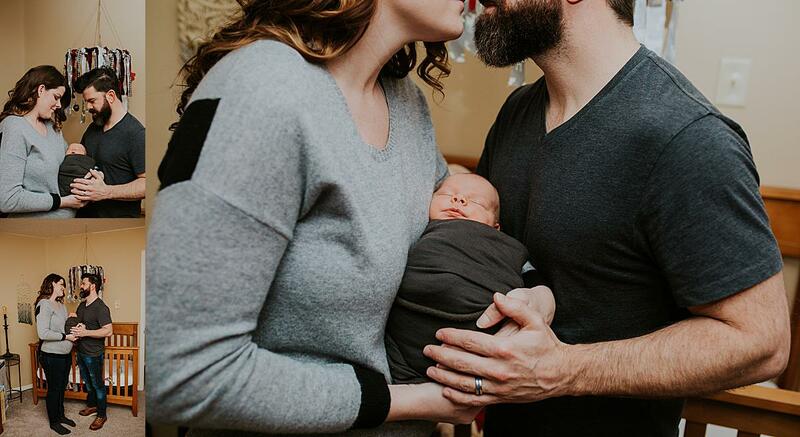 One minute you’re staring down at a beautiful round baby bump, the next you’re holding a squishy newborn, and if you blink, you’ll be holding a toddler. 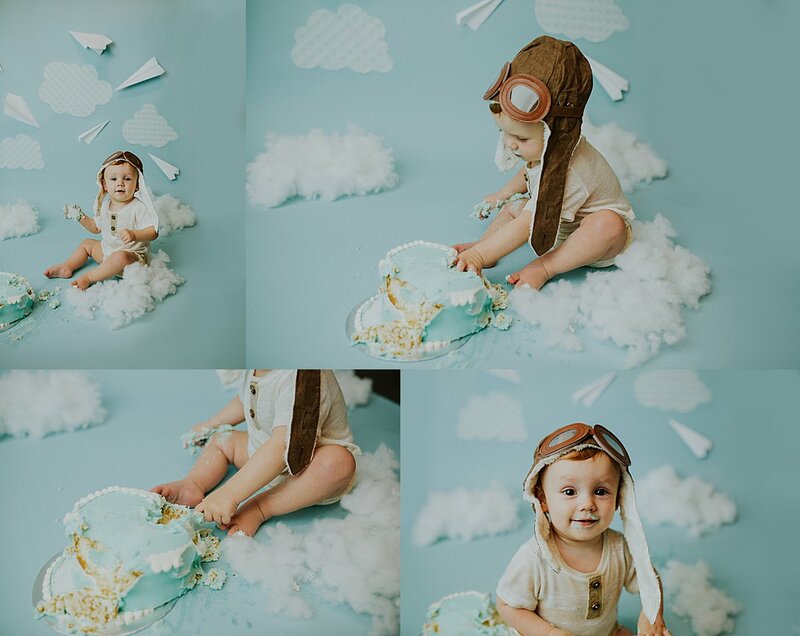 Grow With Me plans are a visual growth chart and they allow us to preserve you and your babies memories as they change from one milestone to the next. So why do we love them? 1) Babies change. Babies change SO MUCH in their first year. 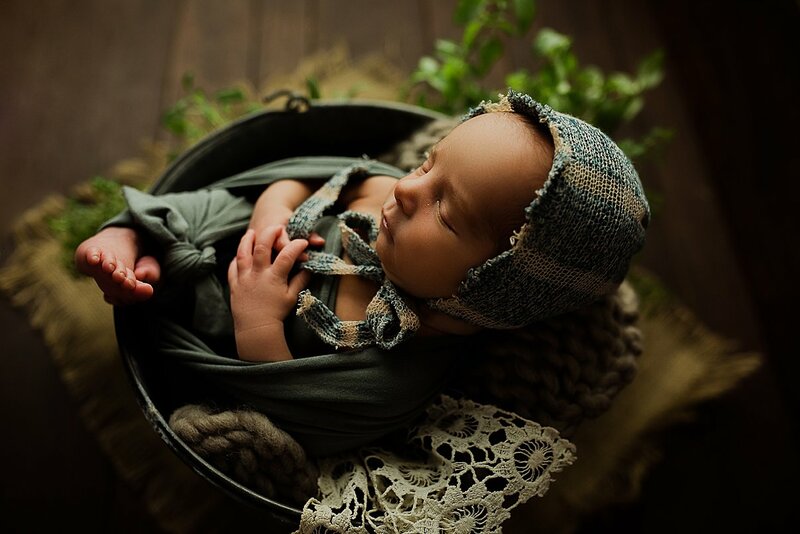 In fact, babies typically double their birth weight by 5 months of age! 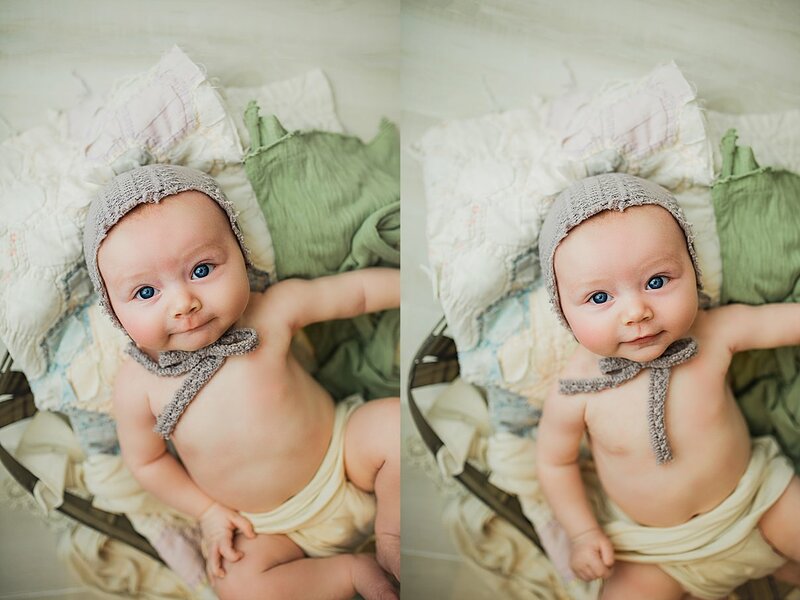 There is a big difference between a newborn baby and a 6 month old baby in both personality and looks. 2) You change. 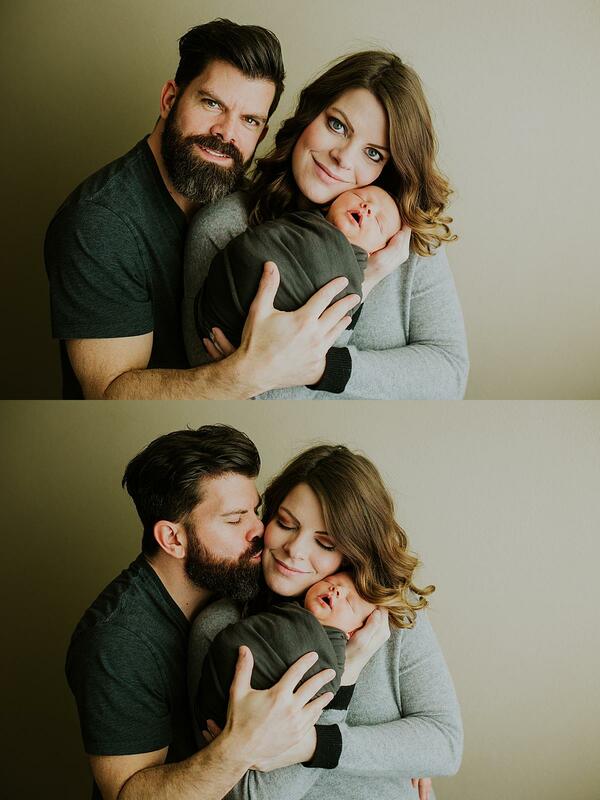 You’ve become parents! When I look at photos of myself before kids and after kids, the difference is incredible! New Moms and Dads look different. They have a glow and a reassurance that they didn’t have before. 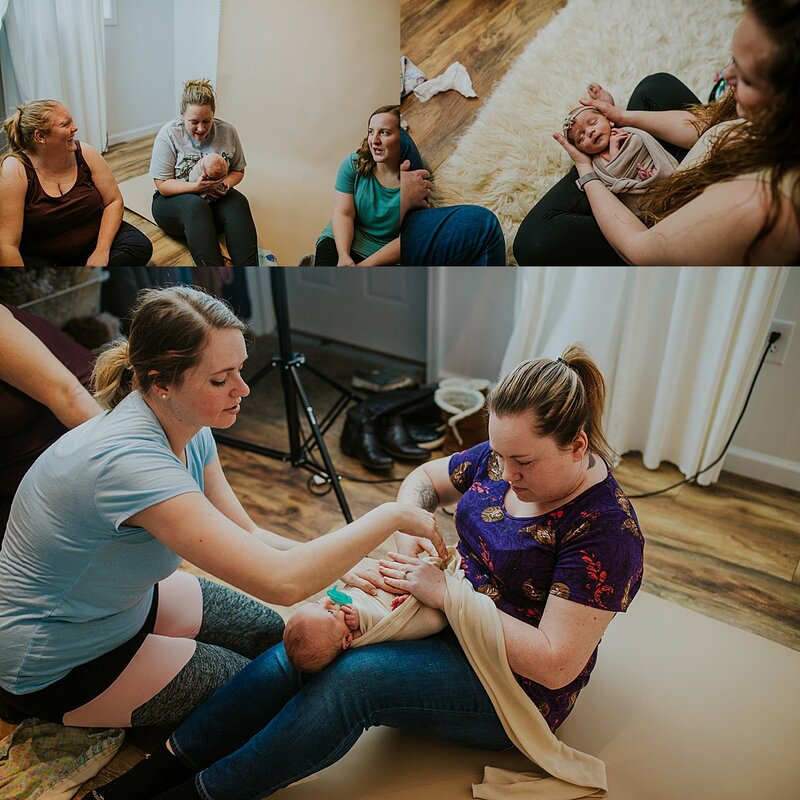 Our Family Plan Grow With Me package includes added family sessions to not only document your babies changes, but your changes as well. 3) Exclusive sessions. All of our Grow With Me plans contain exclusive deals and offerings that are not available a la carte at JNP. 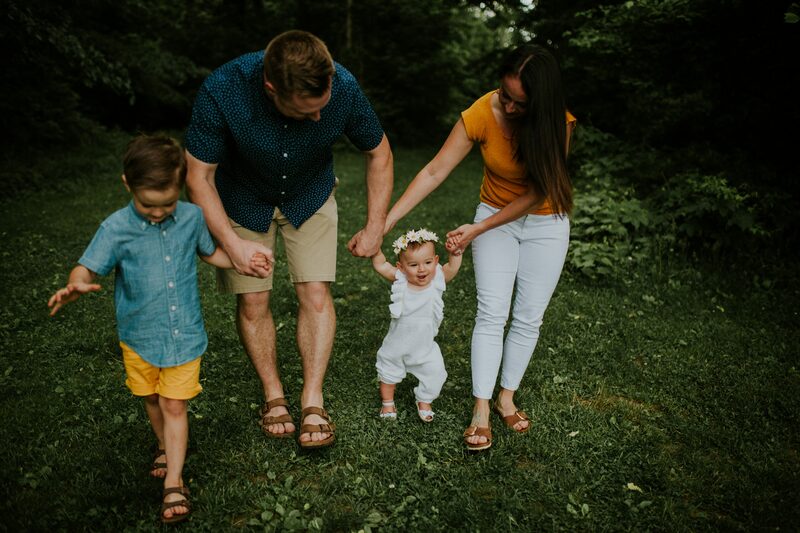 For instance, our family mini sessions are only offered during select times of year and are not available for regular bookings. 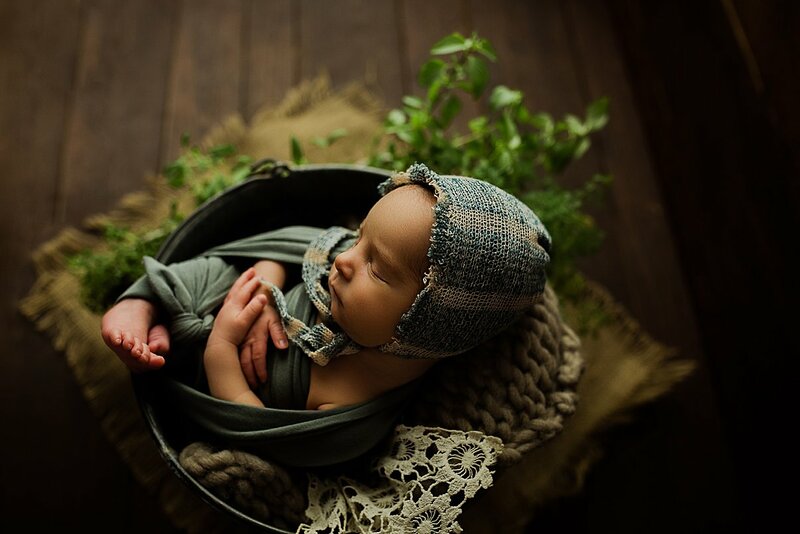 So we created a mini session Grow With Me plan, a series of mini sessions covering your little ones first year of life. This option isn’t available through regular bookings. 4) Money savings. Grow with me plans are discounted. Big time. They average $250-$1000 in saving compared to booking sessions separately. 5) Session success. 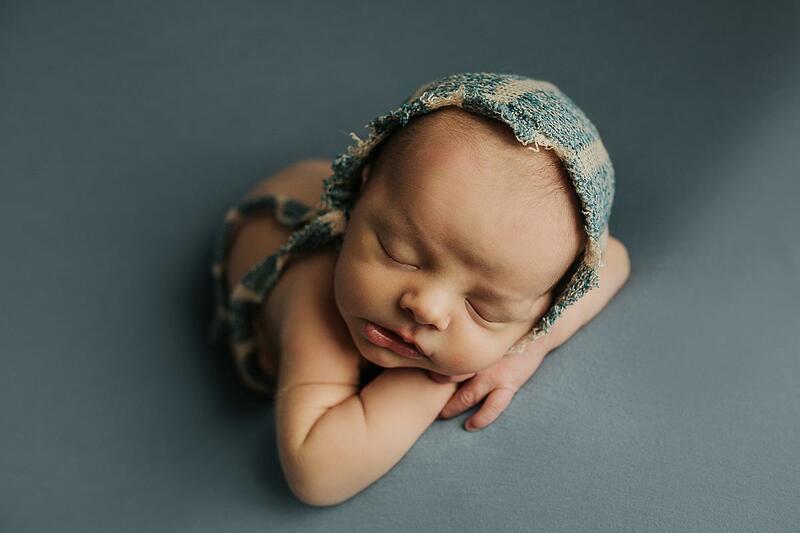 Over time, your baby will come to recognize us and each session is easier than the next. This is simply due to familiarity. Almost all babies go through a phase of stranger anxiety(usually around 8 months of age) when introduced to new faces. But since they already know us, it’s less likely that they will present with that stranger danger during their session. Also, we start to know YOU and your family. We know your family dynamics and how you pose together. We know your likes and dislikes and we know how our personalities vibe. Repeat sessions are like a fine wine(or like that homemade chili that is always better 2nd day). It just gets better with time. Everything in my being loves it. 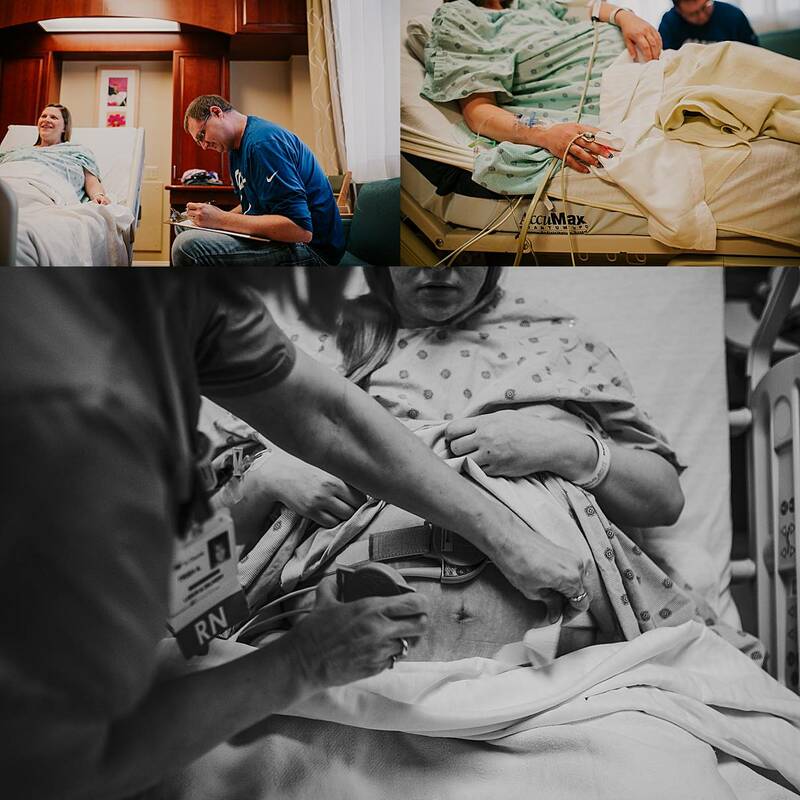 Waaaaay before I was a birth photographer, when I was expecting our first son, I was obsessed with the subject of pregnancy and birth. I found it absolutely fascinating! I got my hands on any and all materials that I could find. I think I read my What to Expect When Expecting book at least 3 times through and eventually graduated to materials from authors like our wonderful Ina May Gaskin. 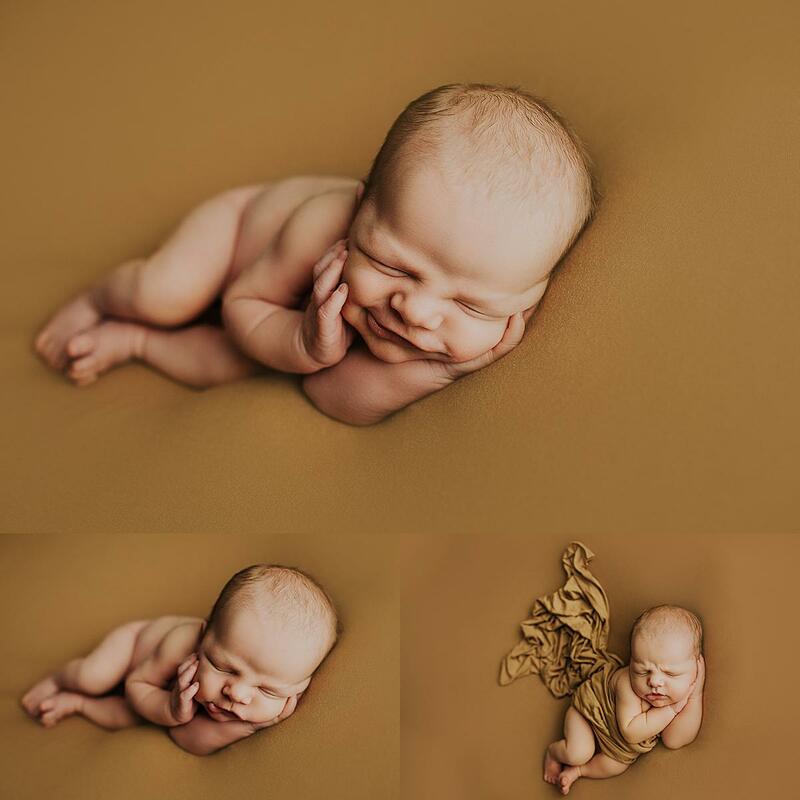 It has been one year since I started taking on birth photography and it has been the most joy filled year of my career as a photographer. There are so many of you already on my birth calendar for 2019 and I can. not. wait. 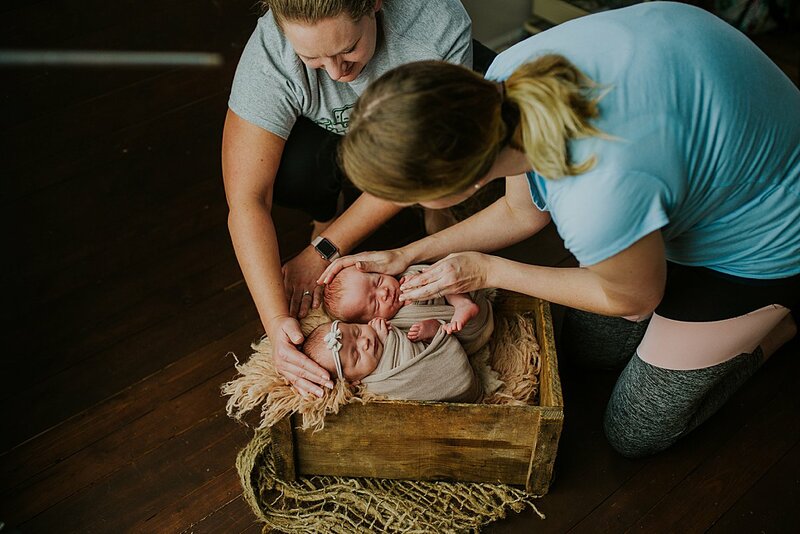 to watch your birth stories come to life! 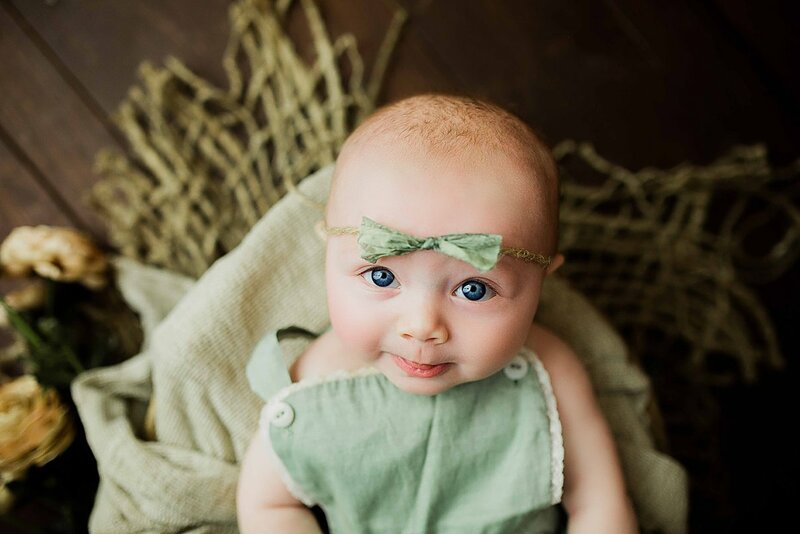 I met Emercin’s mama (who also happens to be named Jessica) back in this past November to discuss her birth plan. She is from out of Greentown Indiana and I’m based in Kokomo Indiana, so we met up at our local Mo Joe coffee shop to chat. Jessica had been waiting for Emercin’s arrival for a very long time. He is everything their family was missing. After years of waiting, he was finally coming and they wanted all of those first moments preserved. 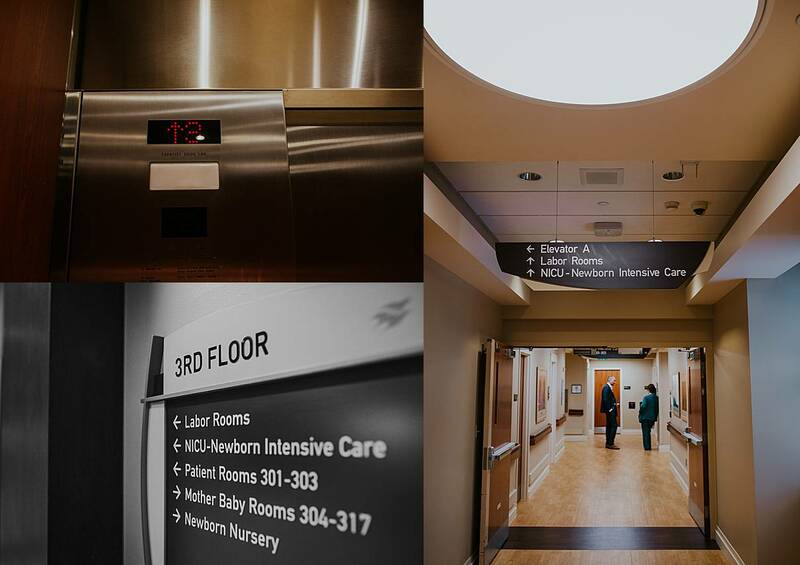 She had a planned csection date already determined for St. Vincent Hospital in Carmel Indiana. There was a flu restriction, but luckily once she listed me as her second support for the hospital, we were good to go! 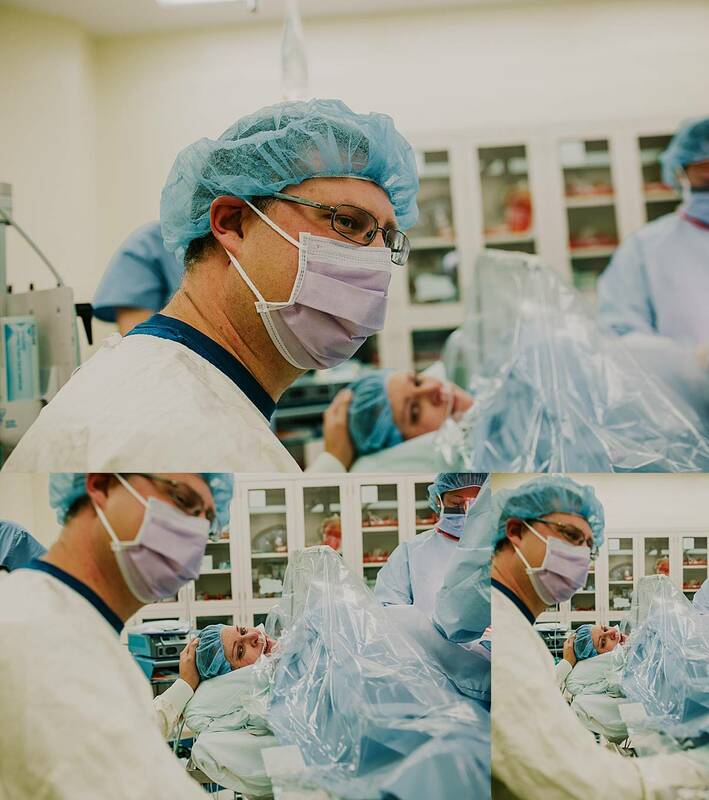 In the other hospitals that I’ve photographed csections in, there was one rule, and that was to stay at least 12 inches away from anything draped in blue. Which is pretty much everything. 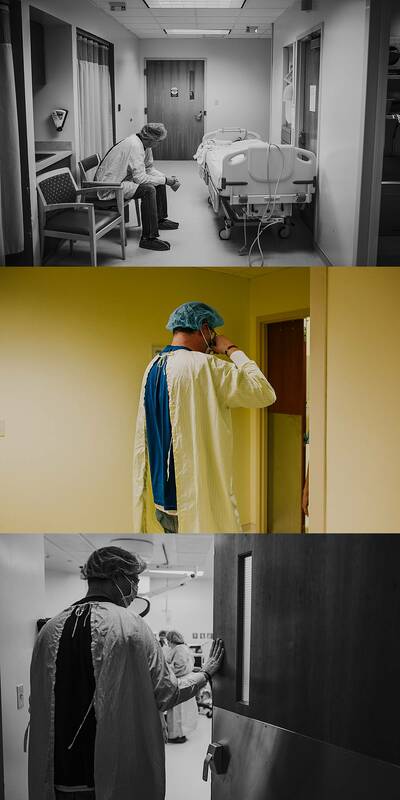 You can walk around the OR, you can follow baby to the warmer across the room, you can get a lot of different angles and shots and whatnot, just as long as you don’t touch anything. But St. Vincent in Carmel has a tad different set of rules. 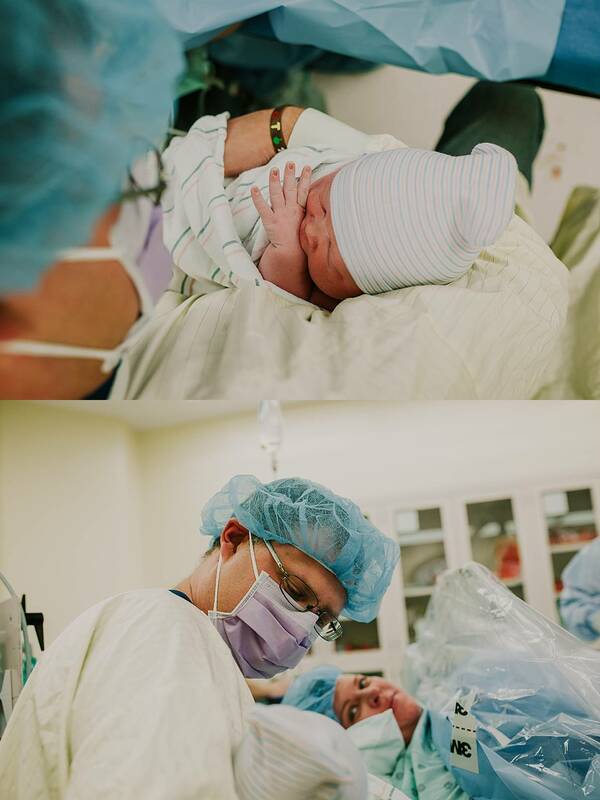 The day came for Emercin’s arrival and I was crazy excited. As you can see by the ridiculous smily iPhone selfie above. 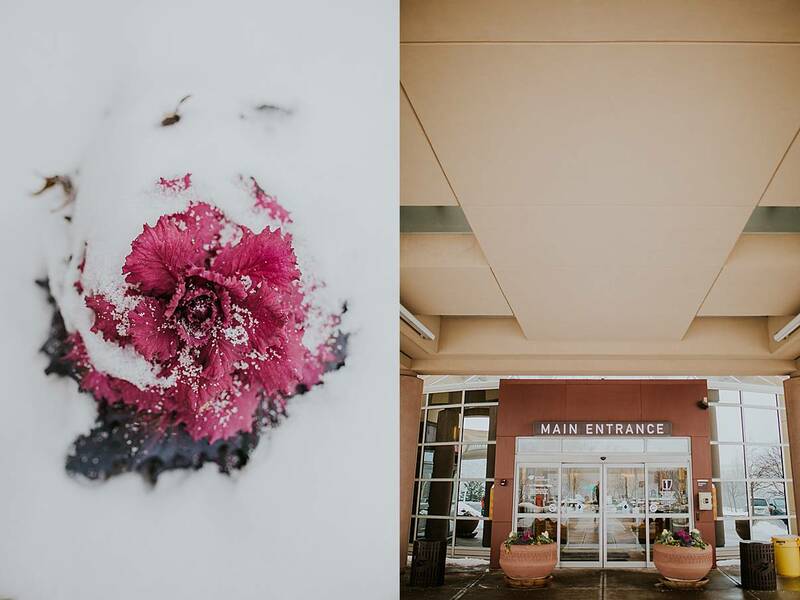 The sky was sprinkling some snow as I grabbed some detail shots outside of the hospital in my parka. Afterwards I met up with Jessica and her husband in their recovery room. 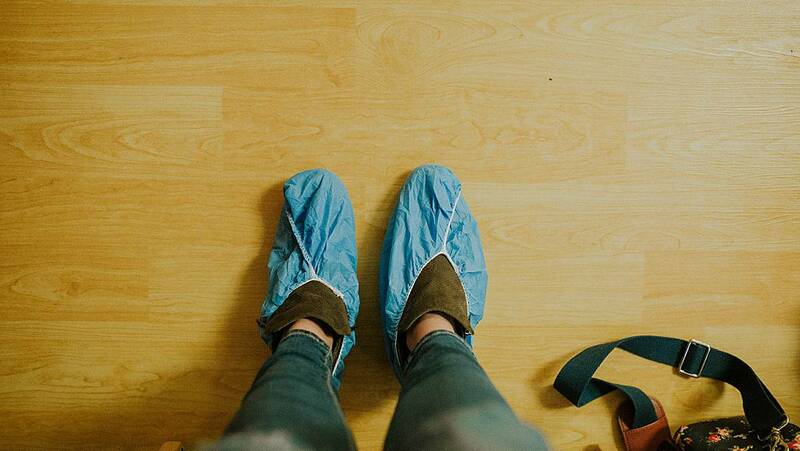 We put on our scrub caps and blue booties to prep for the OR. I introduced myself to the nurse. 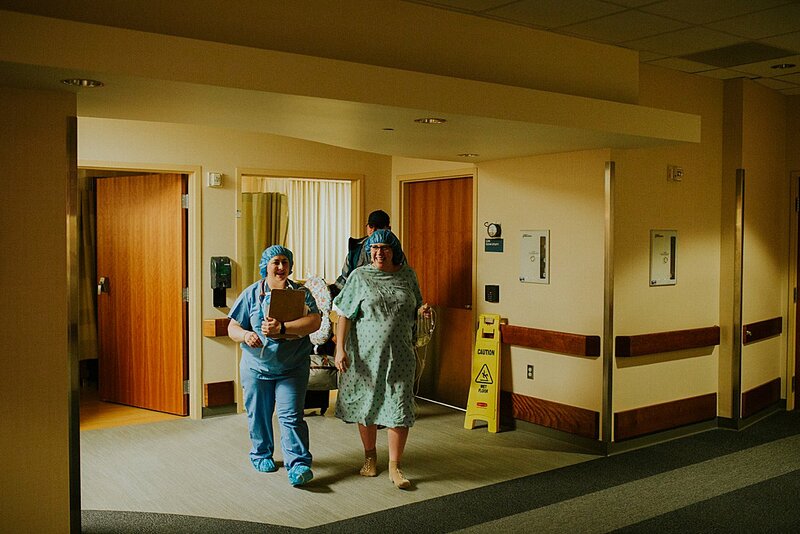 Jessica and myself asked her to confirm the anesthesiologists rules for the OR just to make sure we were good to go…which is when they informed us of a change. 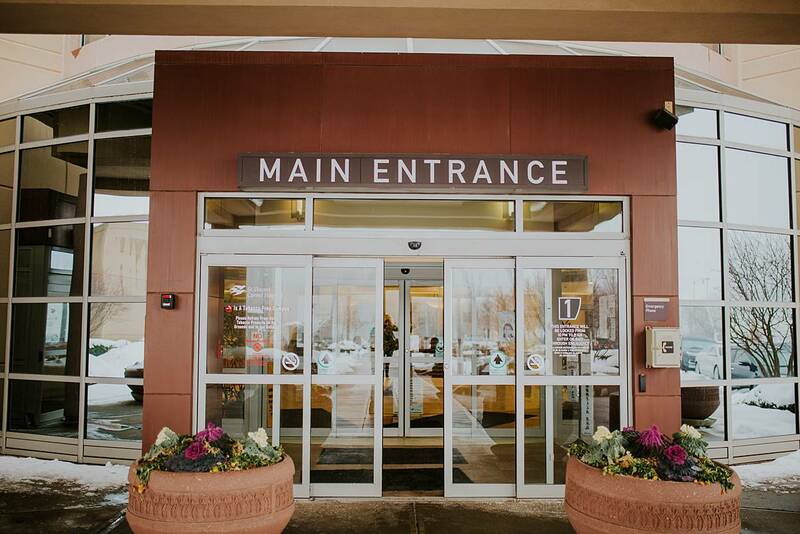 St. Vincent Carmel requires that csection supports remain seated the entire duration of the procedure. Meaning that myself and Jessica’s husband, would not be allowed to move from our seats or follow Emercin to the warmer after his birth. Apparently last year, a Dad got woozy when he stood up to follow baby to the warmer, which caused him to fall and hit his head pretty bad. 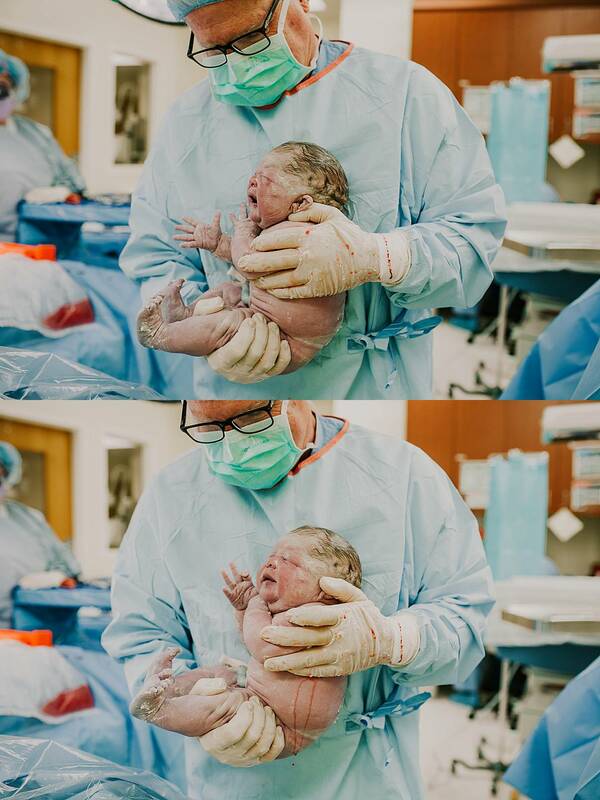 So the policy is now that everyone stay seated, even seasoned csection birth photographers like myself. Disappointed is an understatement actually. 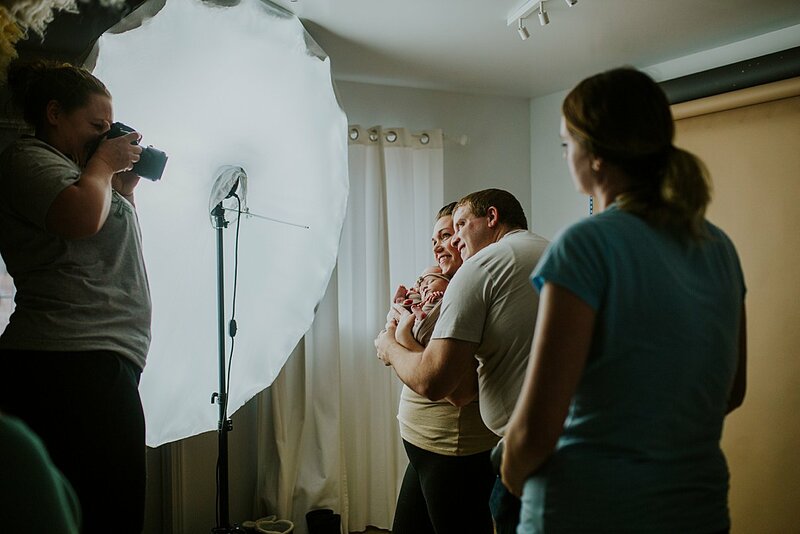 This wasn’t what Jessica was informed of throughout her pregnancy and she had asked several times what the policies were because she knew she wanted a birth photographer for this experience. However the nurses, anesthesiologist, and doctor all confirmed that this was indeed the policy. But Jessica didn’t let this bring her spirits down on such a wonderful day. We all stayed excited and positive and knew that this was just a small hiccup. I wasn’t *too too* worried. I have long long long arms and I can free hand my camera for some shots if I have to. But I knew that I WAS GOING TO GET THOSE SHOTS for Emercin’s mama. I am not a rule breaker and I fully intended to do as the hospital asked. But I was going to stretch every which way necessary to get those memories(I had a few yoga poses in mind). 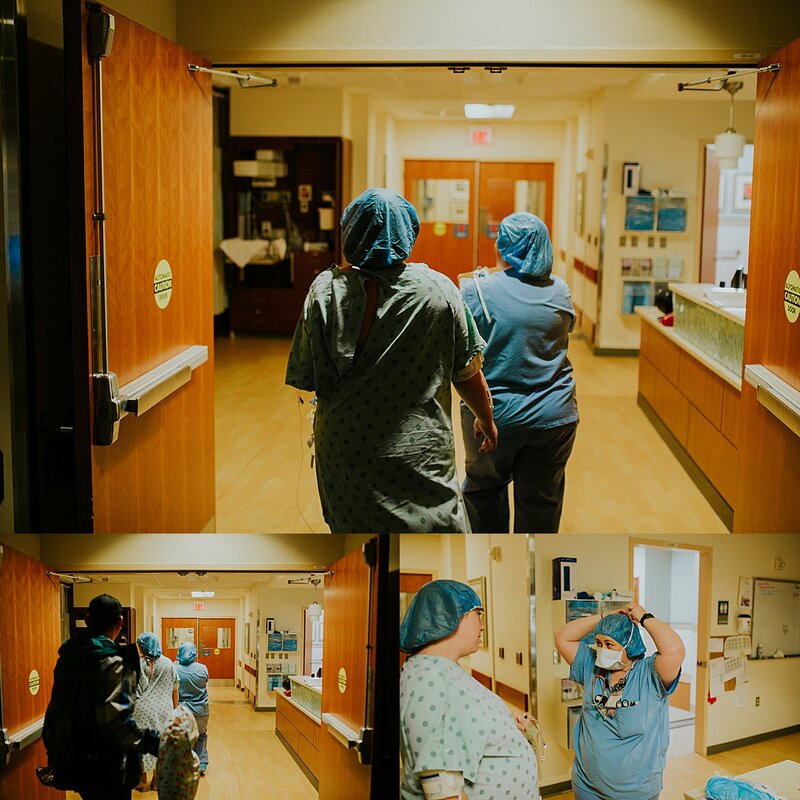 So we headed off to the OR and me and Dad watched Jessica walk down the hall. She said her goodbyes and minutes later we joined her. I was a little nervous, not sure what to expect. I honestly didn’t know if we were going to be allowed to sit next to Jessica, how high up the drape would be, if it would be a blue drape or a clear drape, or if Emercin’s warmer was really far away from where we would be seated, etc. So the moment those OR doors opened for us, I started shooting, because I knew that the moment I was seated, that that seat would be my permanent stake out from that point on. 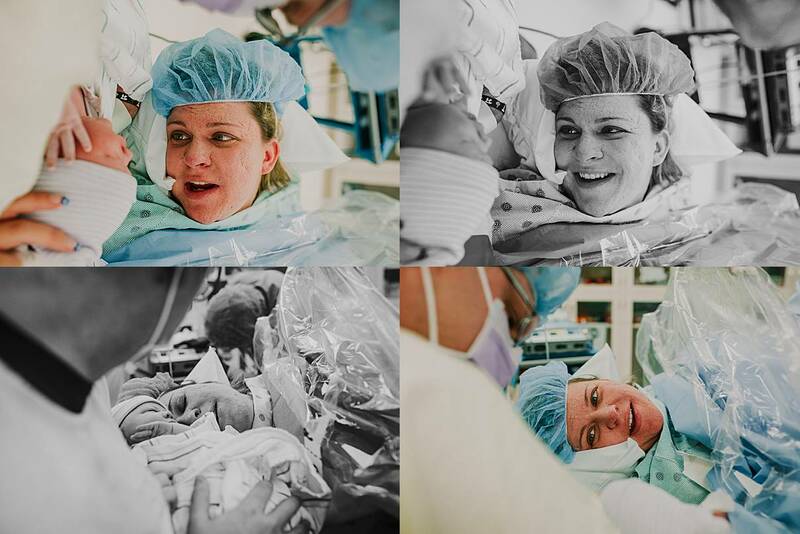 If you are having a csection but would like to be at a hospital that allows a birth photographer, remember this name. 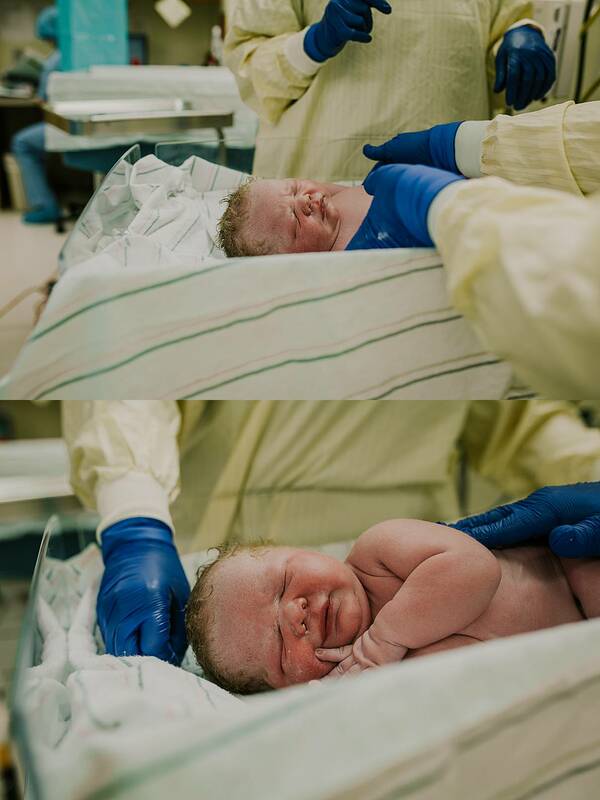 30 minutes prior to the surgery, Dr. Dupler found out that Jessica had hired me as her birth photographer. 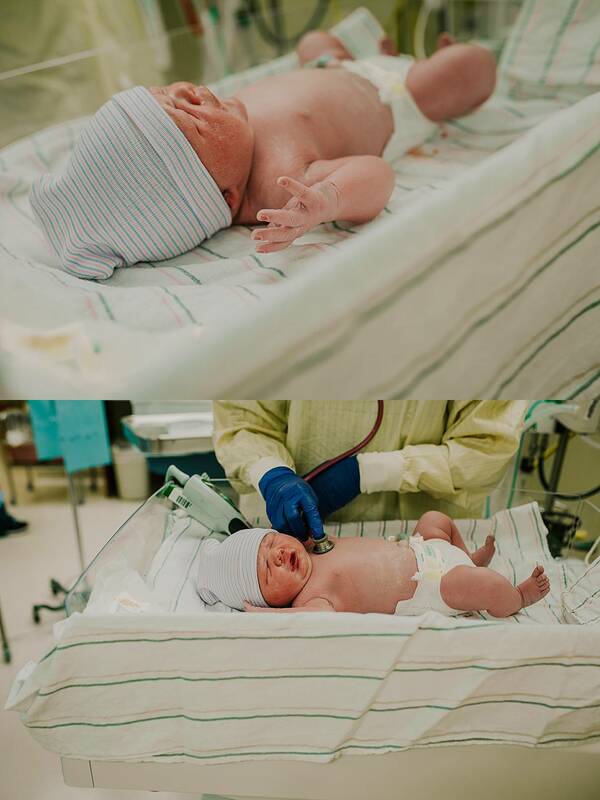 And when he found that out, he knew that I wouldn’t be close enough to Emercin to get the shots that his mama so desperately wanted of him in the warmer or even of his birth. And Dr. Dupler knew that I wouldn’t get the shots that I needed, if I had to sit in a chair across the room from Jessica. 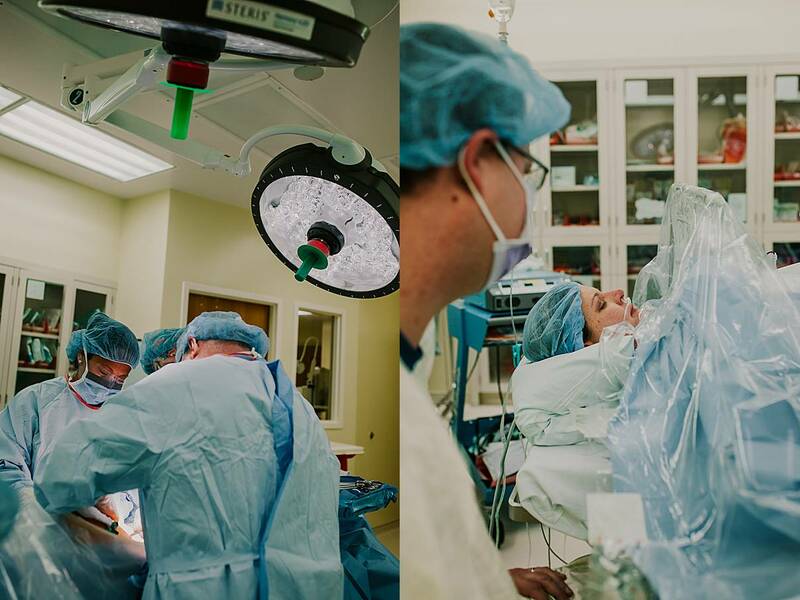 So he rearranged the entire operating theater, just moments before Jessica came in, so that she could have her birth story written. 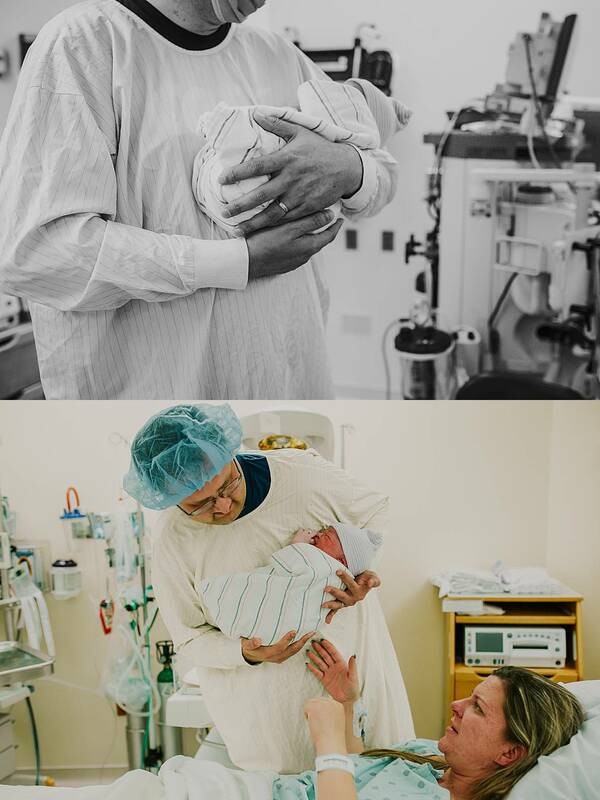 He lowered the drape to just 6 inches off of Jessica’s chest, and sat me right next to her with Dad on the left and with the baby warmer on my right. I was less than 2 feet from Jessica and less than 1 foot from Emercin’s warming tray. 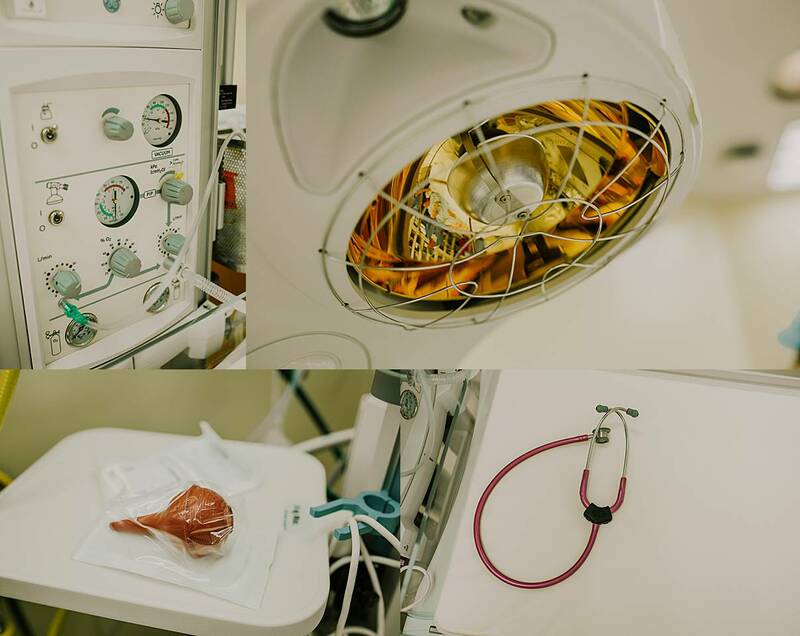 The rest of the photos you are about to see, starting below to the end of this blog post, were taken while seated in an operating room chair. I’ll end today’s blog by saying this. I don’t meet a lot of doctors like Dr. Dupler. But I’m finding more and more doctors like him and I’m proud. Our birth industry still needs a LOT of work. But it starts with doctors like him. He took the time out of this day to see a wish of a patient. A wish that he didn’t have to fulfill. But he did. Because he cares. 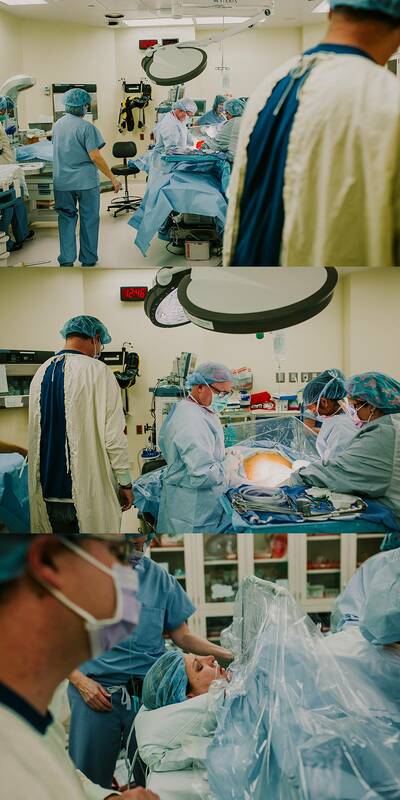 He put his neck out that day and went the extra mile for us on Emercin’s birthday and I am so so so grateful for him and his surgical team that day. Here’s to Baby Emercin, his Mama, his Daddy, his family, and Dr. Dupler. 10 pounds 4 ounces! Mom and Dad had a laugh but didn’t seem surprised. Dad was especially proud as I’m sure you can tell. Welcome to the world Emercin!